Please enjoy some of our favorite advertisements. Our job is to create, communicate, and deliver value for small business and non-profit clients. Our principal Dean Tripodes, MBA — teaches graduate and undergraduate marketing at the University of Phoenix's southern California campuses. Are you a Tumblr fan? Follow our marketing and advertising blog at hollywoodgreeks.tumblr.com. 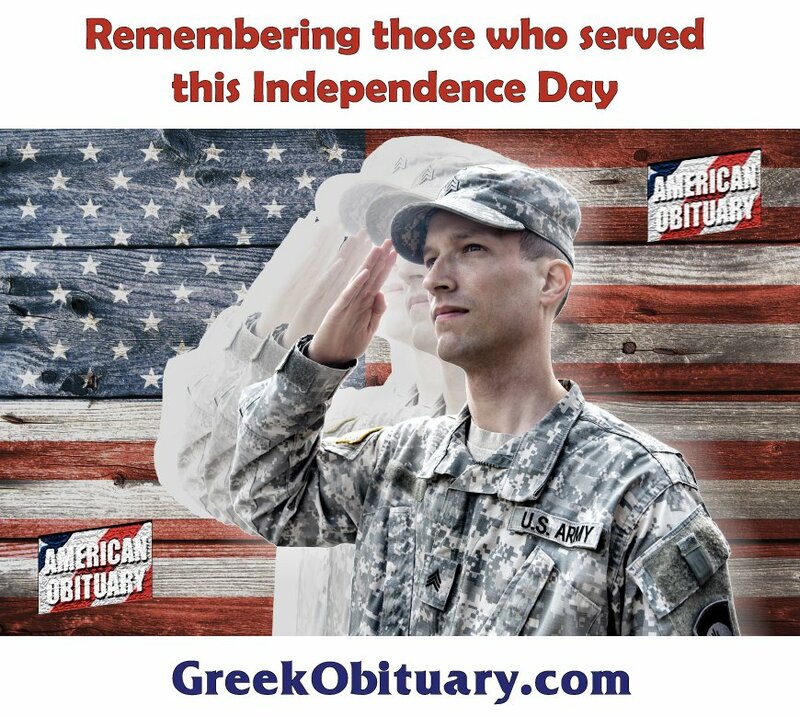 Baywalk Marketing, Hollywood Greeks, Hellenic Festival, Greek Ballroom, Hellenic Dining, Orthodoxy.biz, Yia Yia Mary, Greek Obituary, and American Obituary are paid marketing services. — Please see our Client Ads and Our Advertisement too. 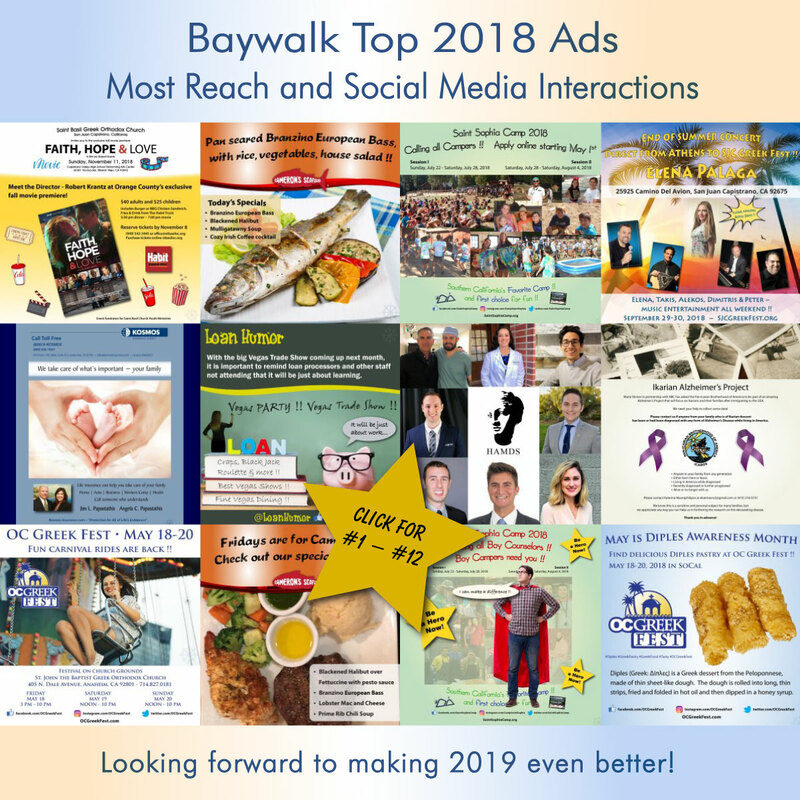 Theme: Baywalk top 2018 client ads. Media Mix: Baywalk Facebook fan page, Instagram, Twitter, and LinkedIn. 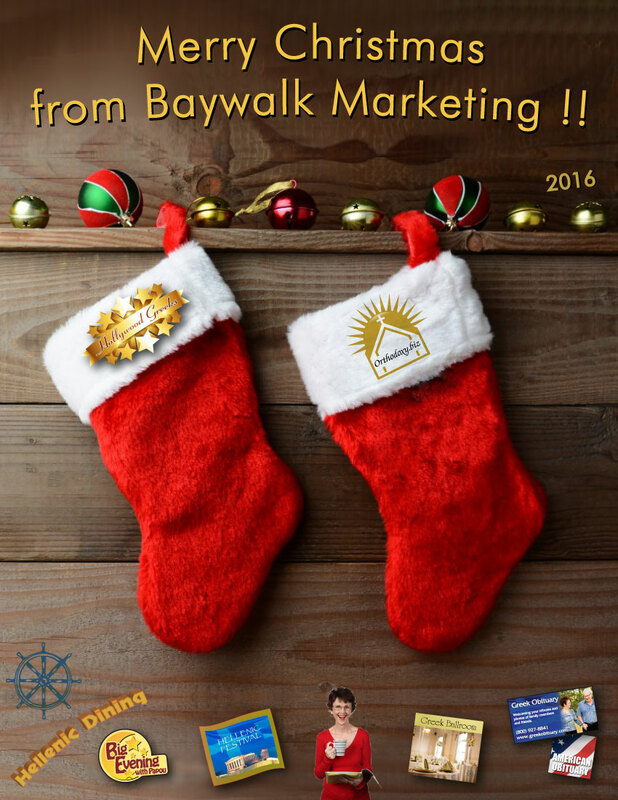 Theme: Merry Christmas from Baywalk Marketing !! Theme: Baywalk top 2017 client ads. Media Mix: Hollywood Greeks e-mail list, Facebook fan page, Instagram, Twitter, and LinkedIn. Theme: Baywalk top 2016 client ads. Theme: Top 7 reasons why Greek Americans love Greek Canadians! Theme: North Miami, don't break my heart! Media Mix: Facebook fan page, Instagram, Twitter, and LinkedIn. 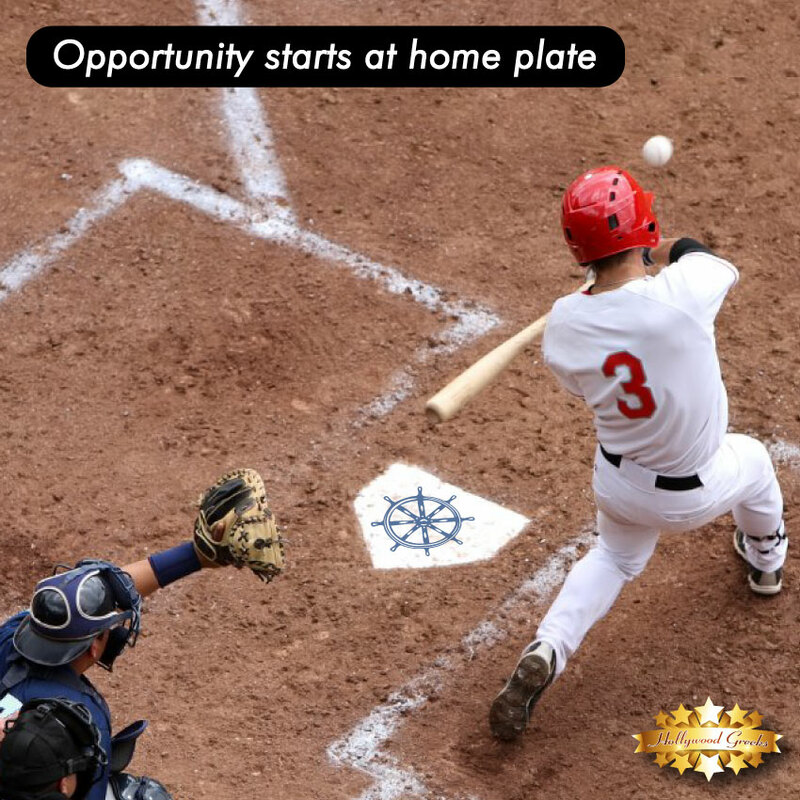 Theme: Opportunity begins at home plate! Theme: Festival chairman free agency starts July 1! Recurring characters: Yia Yia Mary, the voice of Greek grandmotherly wisdom. Yia Yia Mary is a Greek American brand mascot. Theme: Your favorite Greek cookbooks are on Hellenic Dining! Media Mix: Hellenic Dining Facebook fan page, Twitter, and Hollywood Greeks LinkedIn and Tumblr. 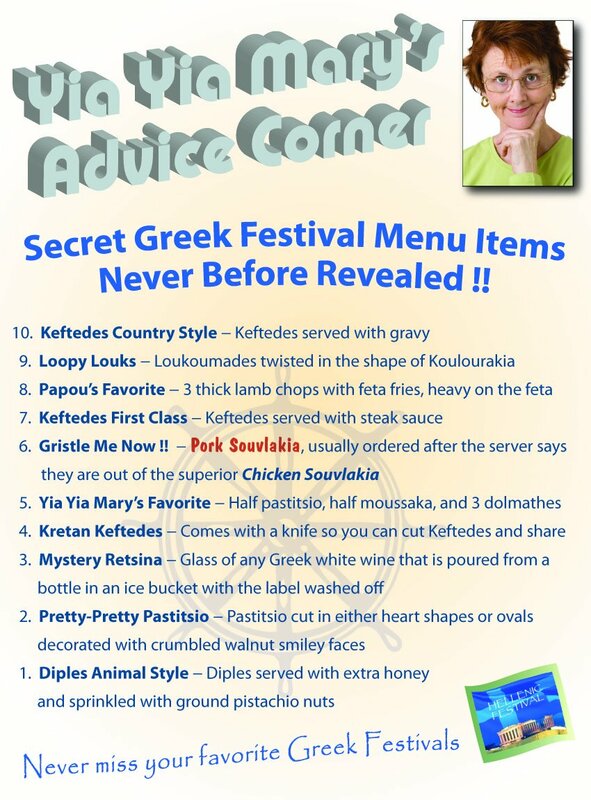 Theme: Secret Greek Festival menu now revealed! Media Mix: Hellenic Festival e-mail lists, Facebook fan page, Twitter, and Hollywood Greeks LinkedIn. Theme: Mardi Gras events start on Hollywood Greeks! Theme: We found a new Greek restaurant on Hellenic Dining !! Media Mix: Hollywood Greeks e-mail list Facebook fan page, Twitter, and LinkedIn. Theme: New York and national Greek American events start on Hollywood Greeks! Media Mix: Hollywood Greeks e-mail list, Facebook fan page and Twitter. 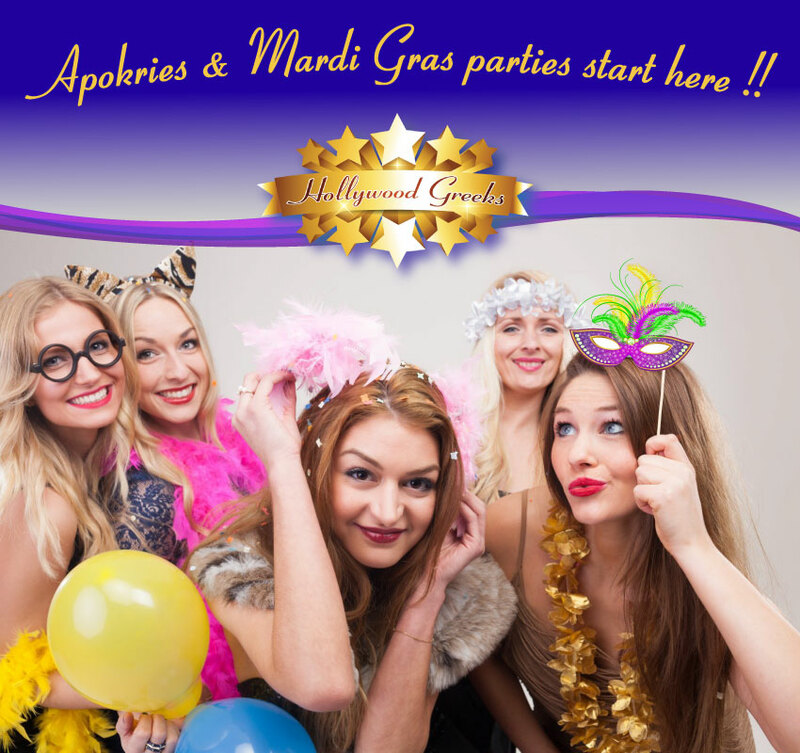 Theme: Apokires & Mardi Gras parties start on Hollywood Greeks! Media Mix: Hollywood Greeks e-mail list Facebook fan page and Twitter. 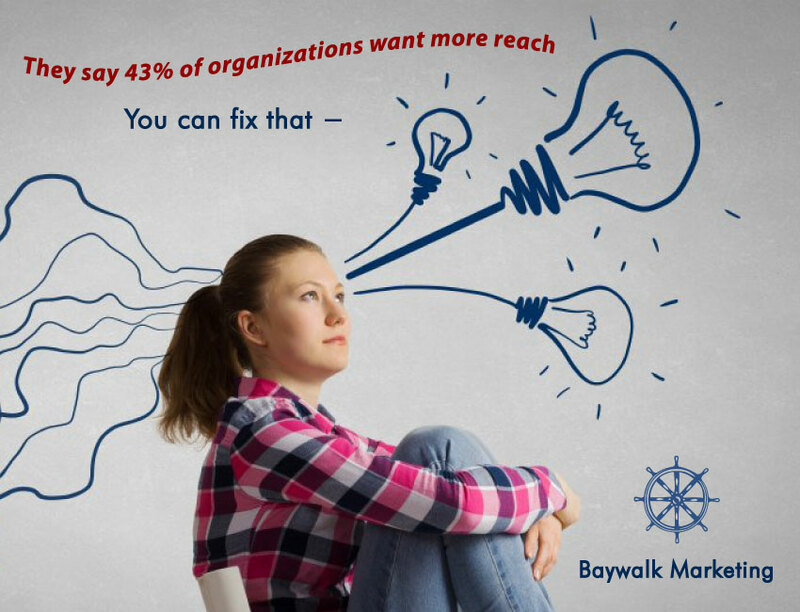 Theme: Organizations want more reach - you can fix that. Theme: Baywalk top 2015 client ads. 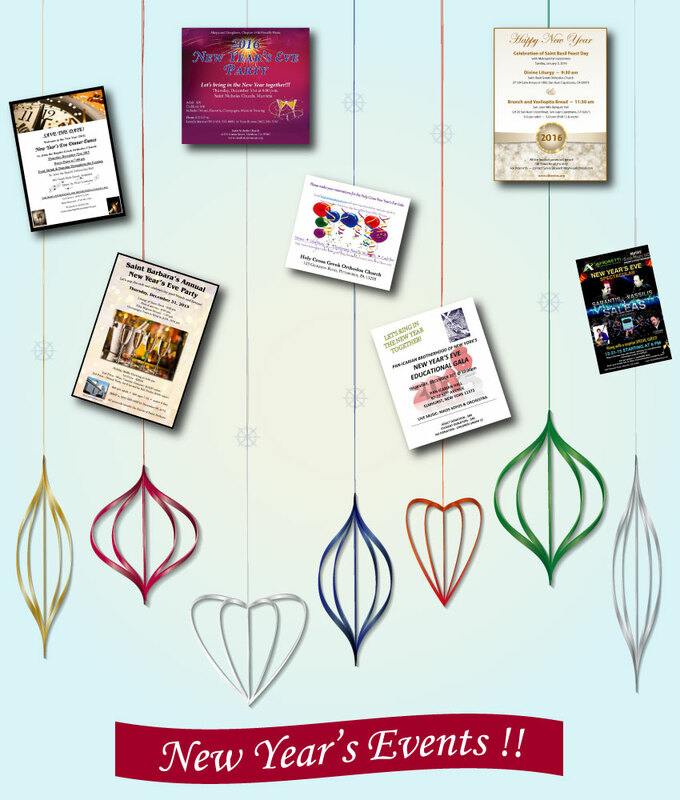 Theme: New Year's Events - don't miss !! 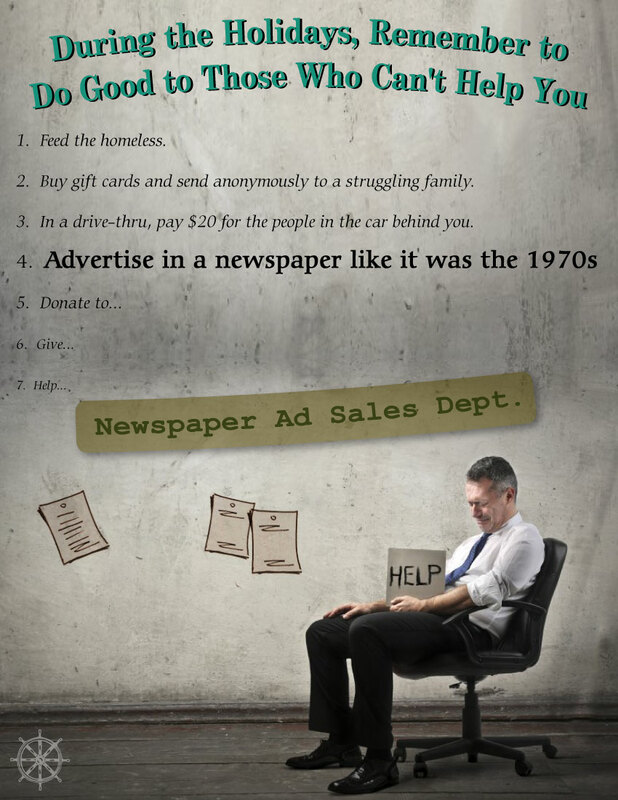 Theme: Can newspaper advertising really help you? 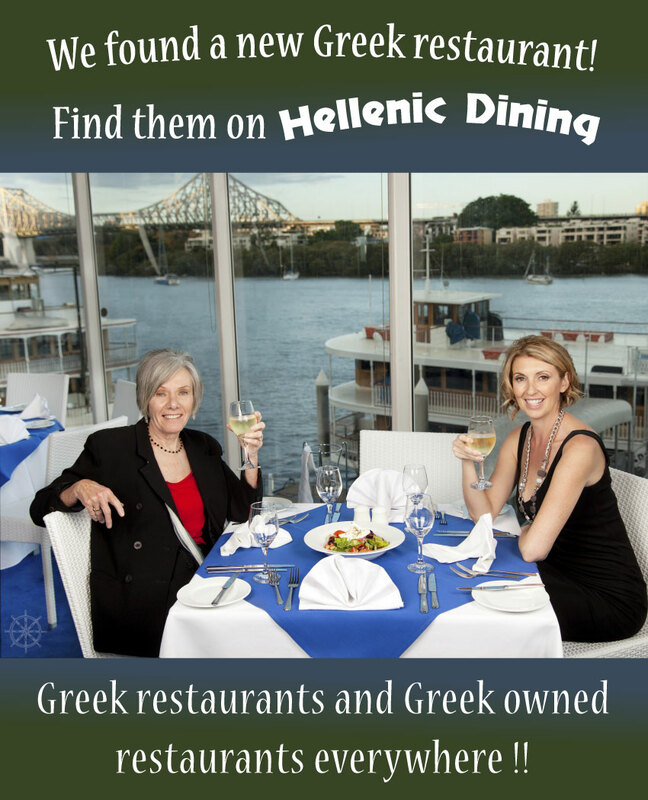 Theme: Find Greek restaurants and Greek owned restaurants on Hellenic Dining !! 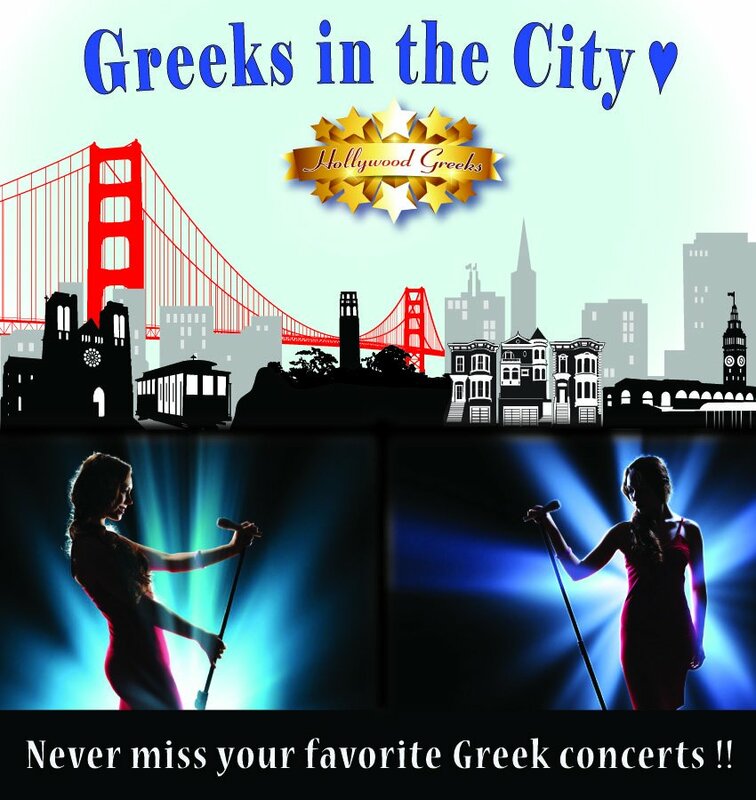 Theme: Never miss your favorite Greek concerts! 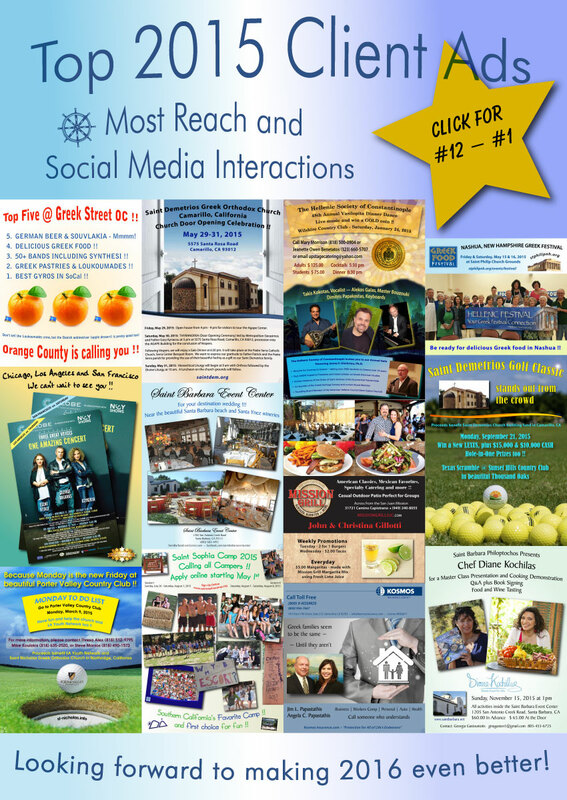 Media Mix: Hollywood Greeks and Hellenic Festival e-mail lists, Facebook fan page, Twitter, and LinkedIn. Theme: Yia Yia Mary leads Diples training for wayward pastry chairman and baking volunteers. 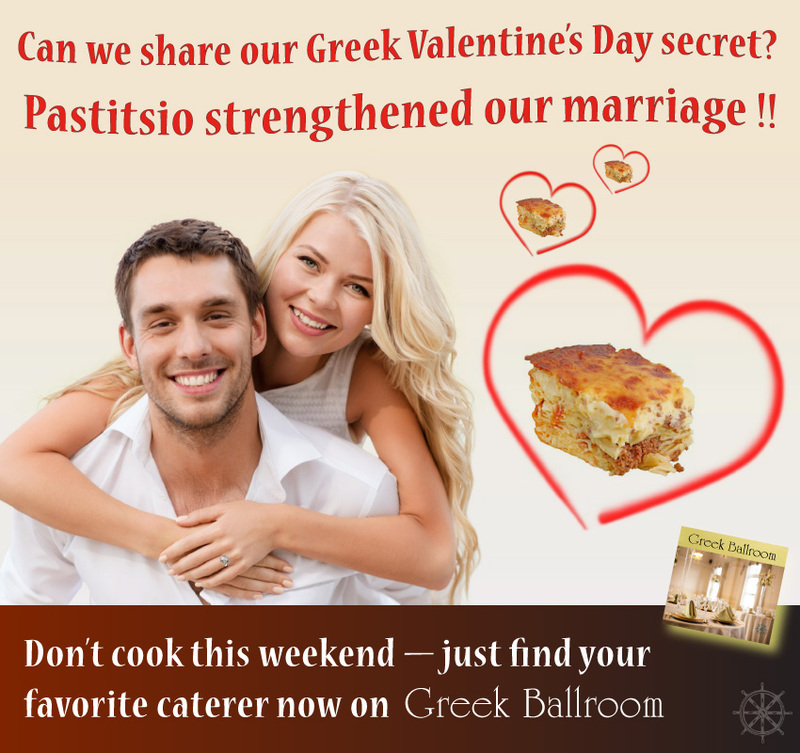 Theme: Delicious pastitsio can help make a great party — find a caterer who delivers on Greek Ballroom! Media Mix: Hollywood Greeks e-mail list, Facebook fan page, and Twitter. 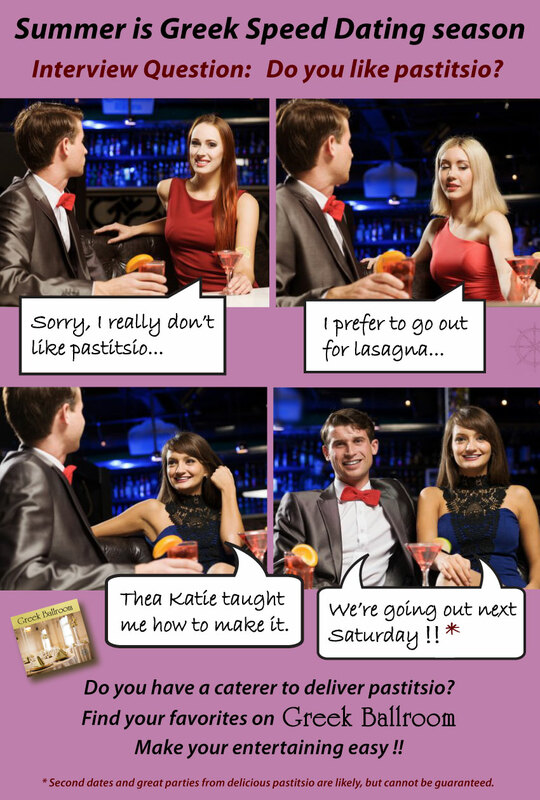 Description: Greek Speed Dating scenario, drawing attention to the power of delicious pastitsio! Theme: Help Dad's favorite on Father's Day !! Description: Golfing is nice, but helping Dad's favorite Greek festival means so much more !! Get a FREE Hellenic Festival banner for her festival or business. Woo Hoo !! Theme: Newspaper advertising can still reach senior citizens. What if you need younger customers? Media Mix: Hollywood Greeks e-mail list, Facebook fan page, Twitter, LinkedIn, and Tumblr blog. Description: Group of senior citizens giving the thumbs up sign. Cartoon senior woman tells the audience that she still does newspaper advertising and gets great results reaching seniors. 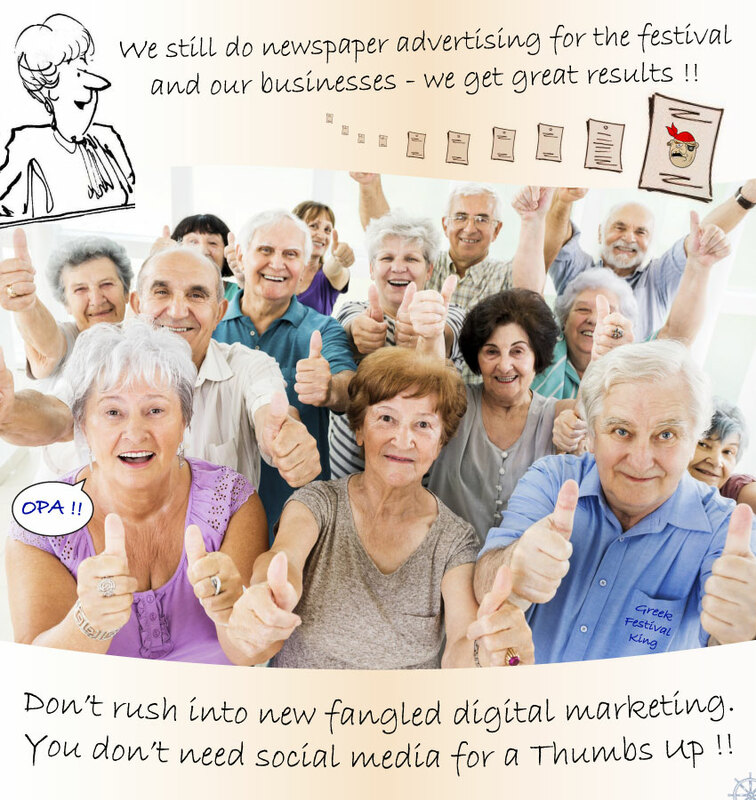 The physical "Thumbs up" is in contrast to the ad copy below which humorously states "Don't rush into new fangled digital marketing. You don't need social media for a Thumbs Up !!" Of course, we do need social media to accompany most any successful advertising campaigns. Description: Links to Baywalk's fun in advertising page. We can reach so many people with humor! Media Mix: Hellenic Festival e-mail list, Facebook fan page, Twitter, and Hollywood Greeks LinkedIn. Theme: Help Mom's favorite on Mother's Day !! Description: Flowers are nice, but helping Mom's favorite Greek festival means so much more !! Get a FREE Hellenic Festival banner for her festival or business. Woo Hoo !! Theme: May is Diples pastry awareness month. 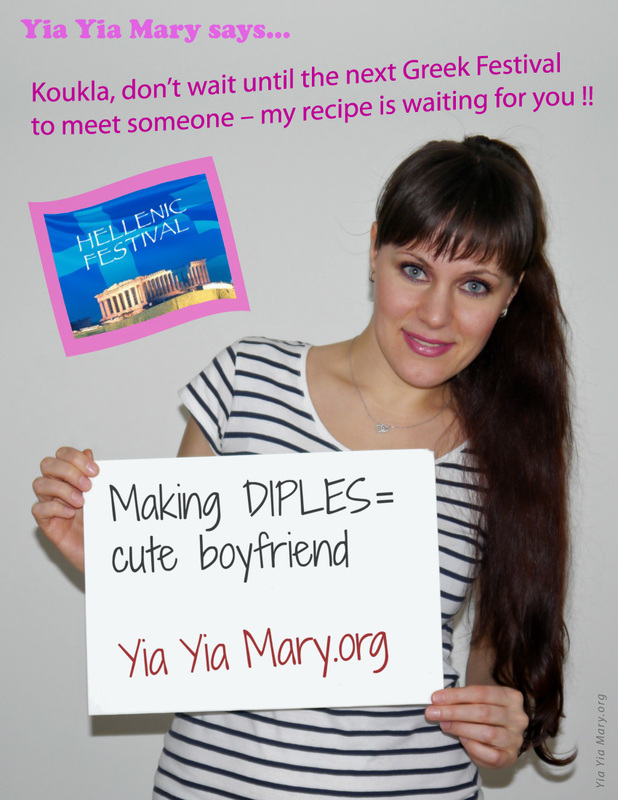 Hellenic Festival makes it easy to find your favorite Greek festivals that offer Diples! Media Mix: Various - accompanying feature ads to their respective segments. Theme: Even if you're not Greek, Hellenic Festival makes it easy to find your favorite Greek festivals. Recurring characters: Heather, who isn't Greek, but likes the Greek culture and Greek festivals. Theme: Great events the first week of May 2015. 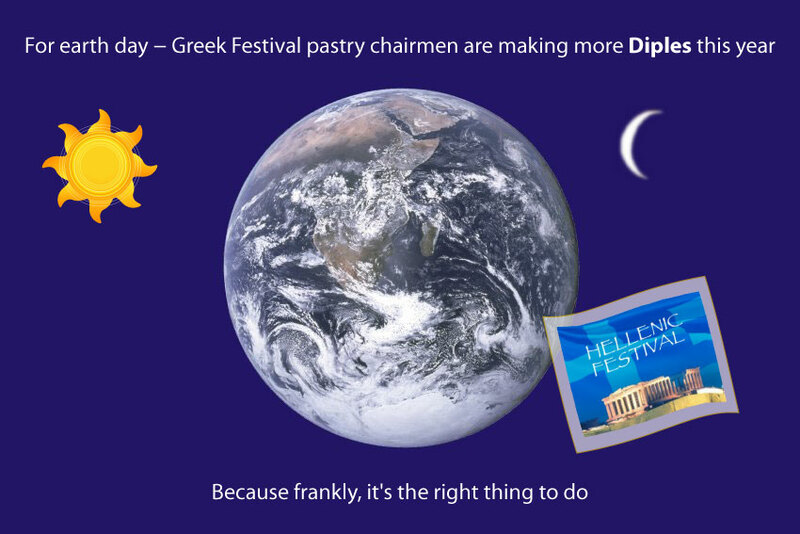 Theme: For earth day - Greek Festival pastry chairmen are making more Diples this year - because frankly, it's the right thing to do. Media Mix: Hellenic Festival Facebook fan page, Twitter, and Hollywood Greeks LinkedIn. Theme: Pork Souvlakia Anonymous - returning to a healthy chicken souvlakia lifestyle. Theme: Decisions. Decisions. 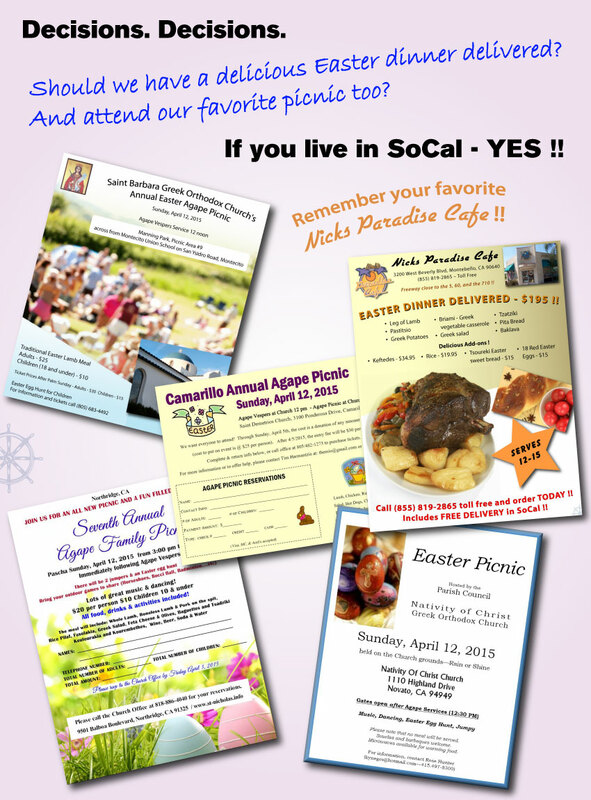 Have Easter dinner delivered or go to your favorite picnic. Theme: Top 12 signs your festival may have drama. Media Mix: Hollywood Greeks e-mail list, Facebook fan page, Twitter, LinkedIn, and Tumblr. Theme: Golf Tournaments start on Hollywood Greeks. Theme: A tribute to all the hard working dance instructors — it's hard to get appreciation without winning. Theme: Pastitsio strengthened our marrage. Don't cook on Valentine's Day — just find your favorite caterer on Greek Ballroom! 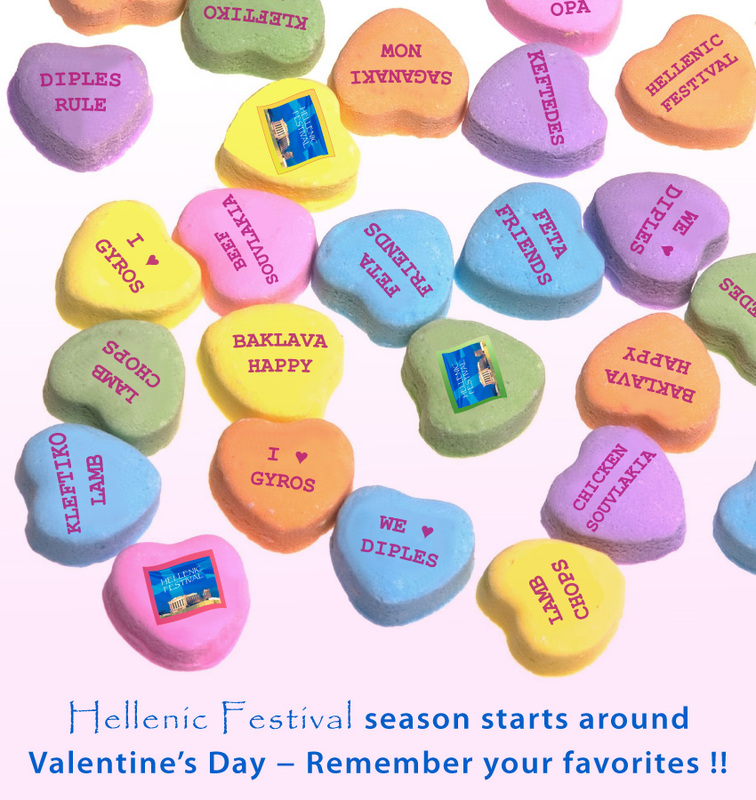 Theme: Hellenic Festival season starts around Valentine's Day — Remember your favorites !! 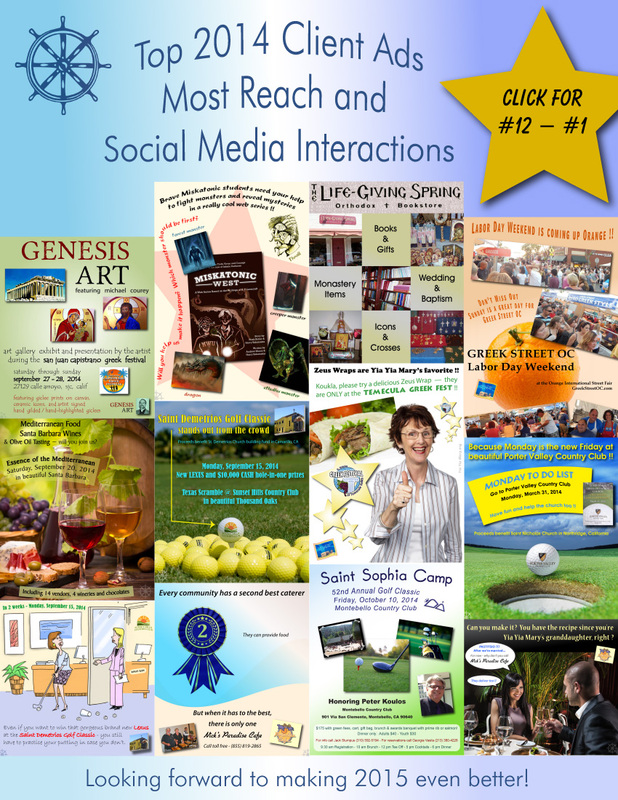 Media Mix: Hellenic Festival e-mail list, Facebook fan page, Twitter, and LinkedIn. 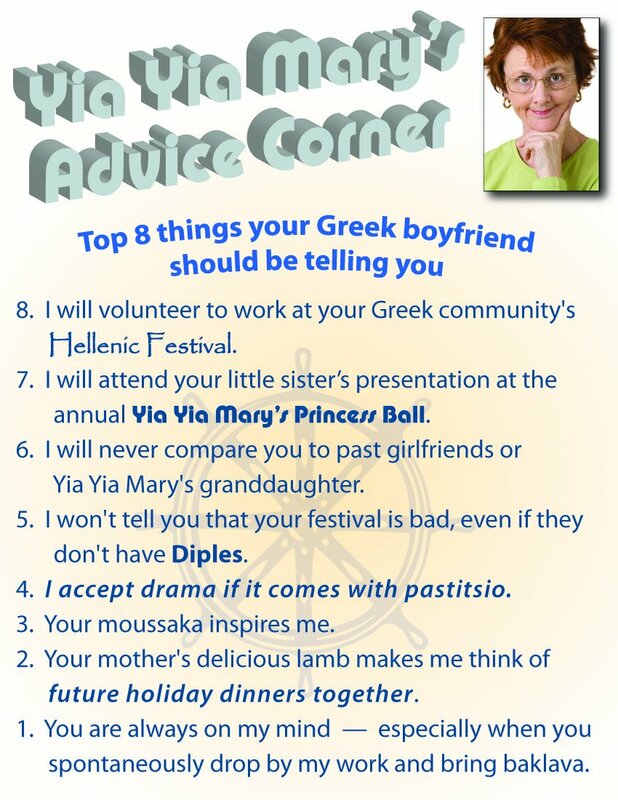 Theme: Top 8 things your Greek boyfriend should be telling you. Extra: The creative team's favorite is #4. 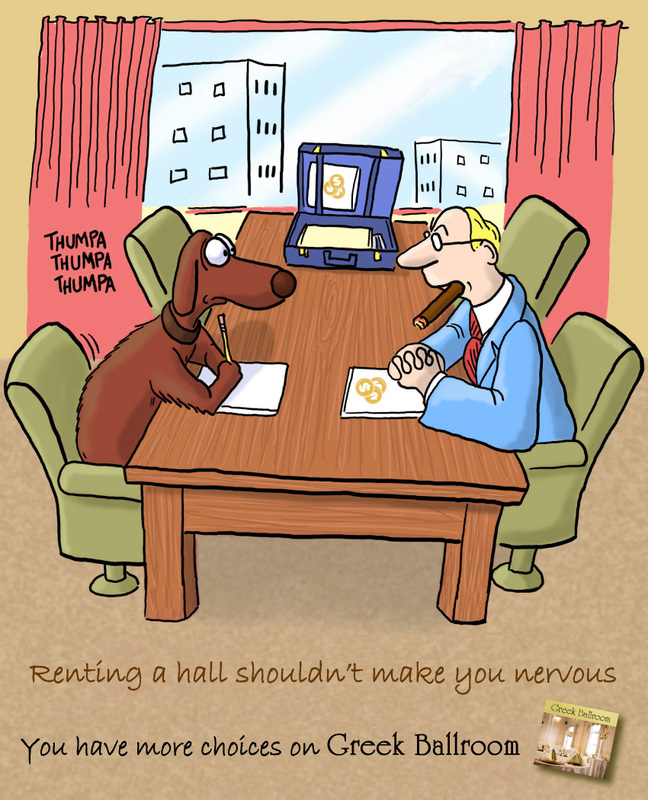 Theme: You don't have to be nervous when renting a hall. 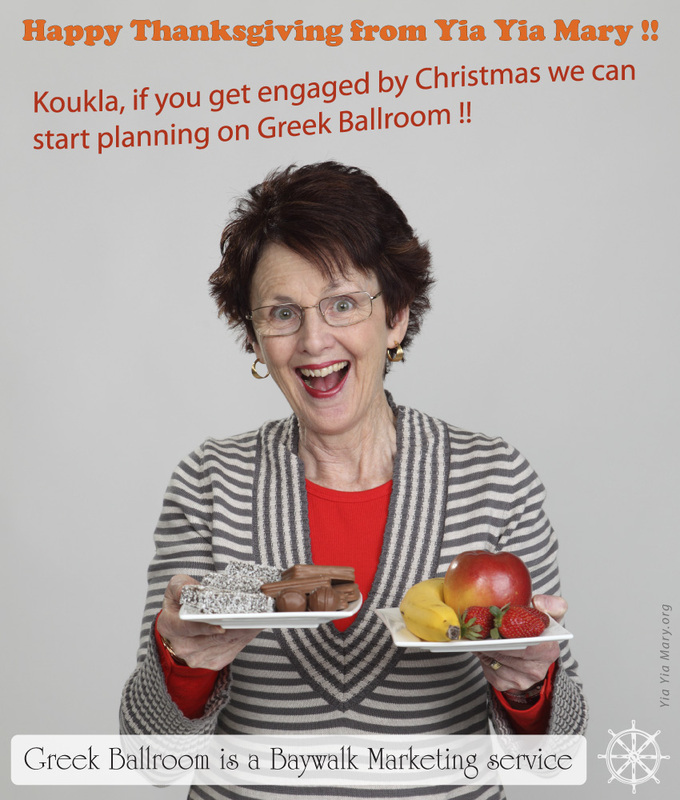 Greek Ballroom gives you choices! Extra: The direct email subject line — "Lucky's tail betrayed him". Theme: Baywalk top 2014 client ads. Theme: Debutantes and everyone else should find a good caterer on Greek Ballroom! Theme: Merry Christmas from Baywalk Marketing. 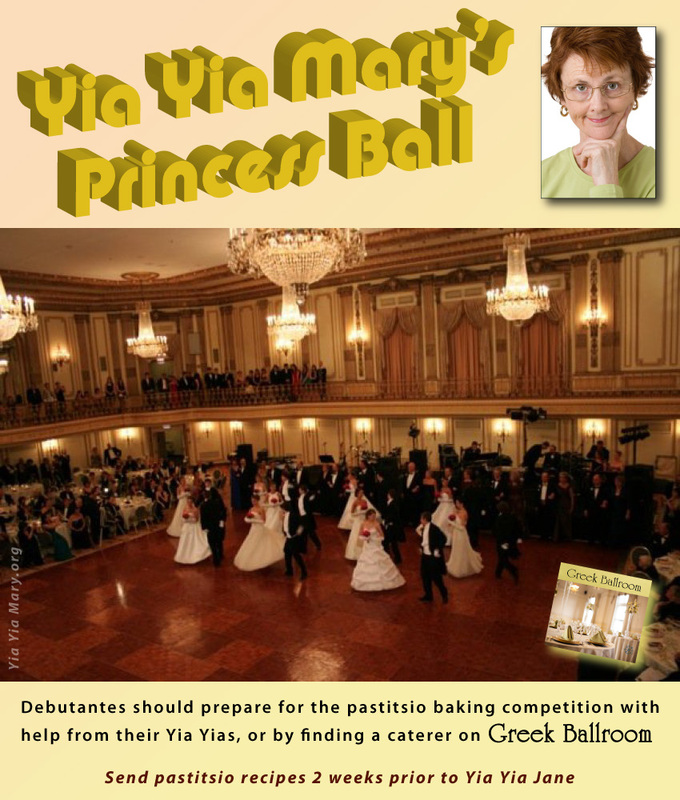 Theme: If your Yia Yia didn't teach you how to make pastitsio, there is always Greek Ballroom! 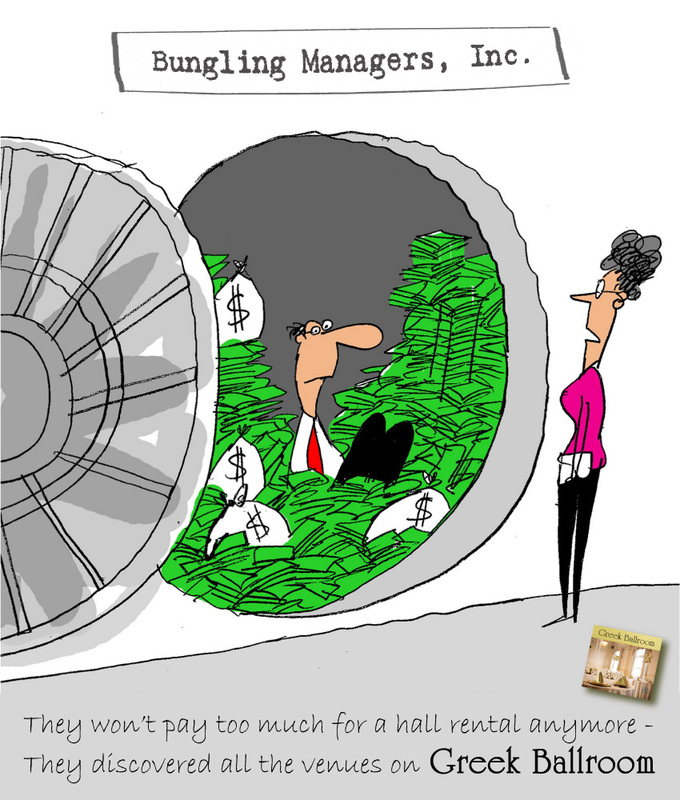 Theme: When people find they have choices for hall rentals, they don't have to pay too much anymore! 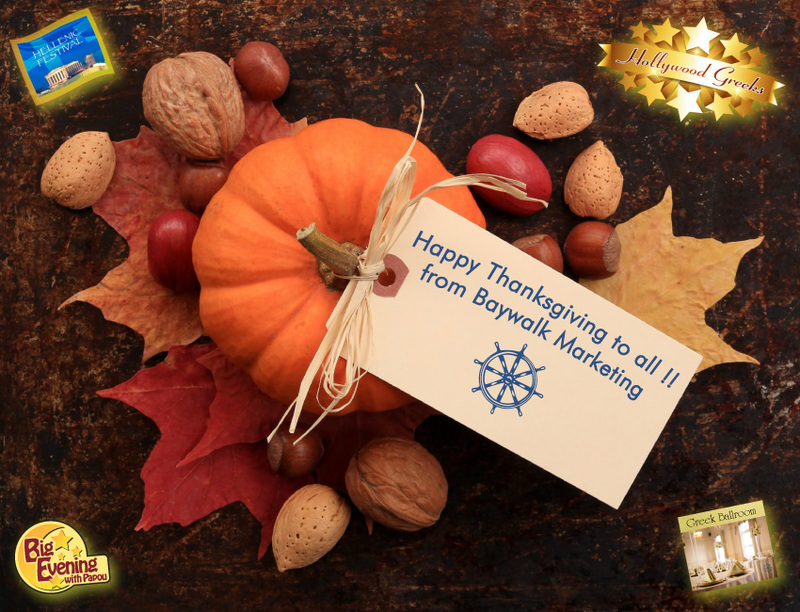 Theme: Happy Thanksgiving from Baywalk Marketing. Theme: Like a big rivalry game, even people on opposite ends can agree on Greek Ballroom is where you plan your celebration! Description: A slightly out-of-focus couple are rivalry football fans with each one wearing their own team colors. The ad copy (text) is in the foreground in a collegiate font, and is the focus of the ad. It states that no matter who wins, the celebration will be planned on Greek Ballroom. Both the Greek Ballroom and the Baywalk Marketing logo are featured in the ad. Theme: Plan your Christmas party at Greek Ballroom !! 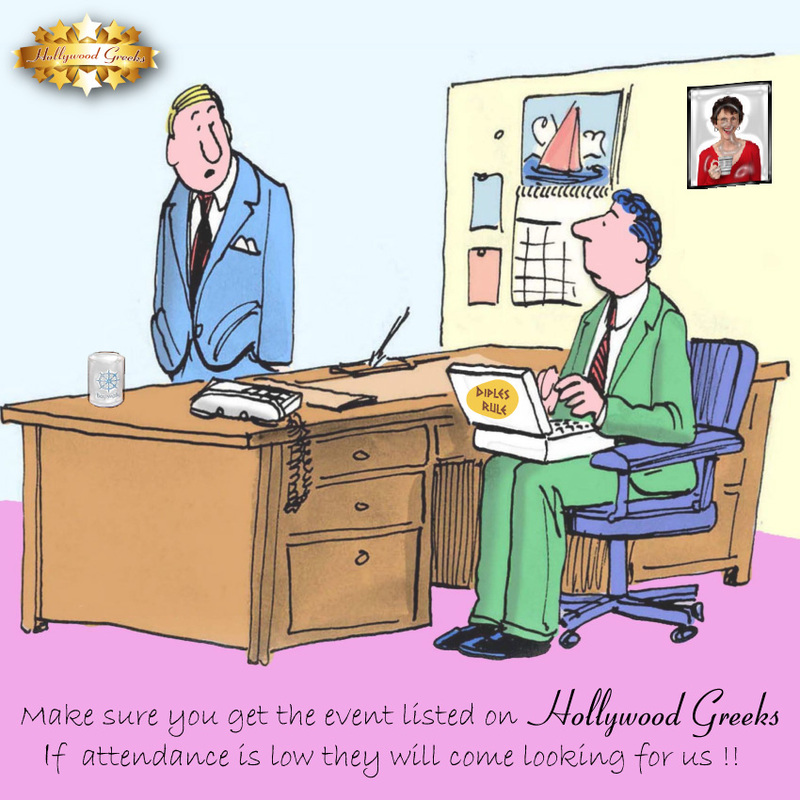 Theme: Make sure your event gets listed on Hollywood Greeks! Description: Sheep are seen the foreground, and a riding cowboy in the background represents North America. The arching Hellenic Dining logo is above her. 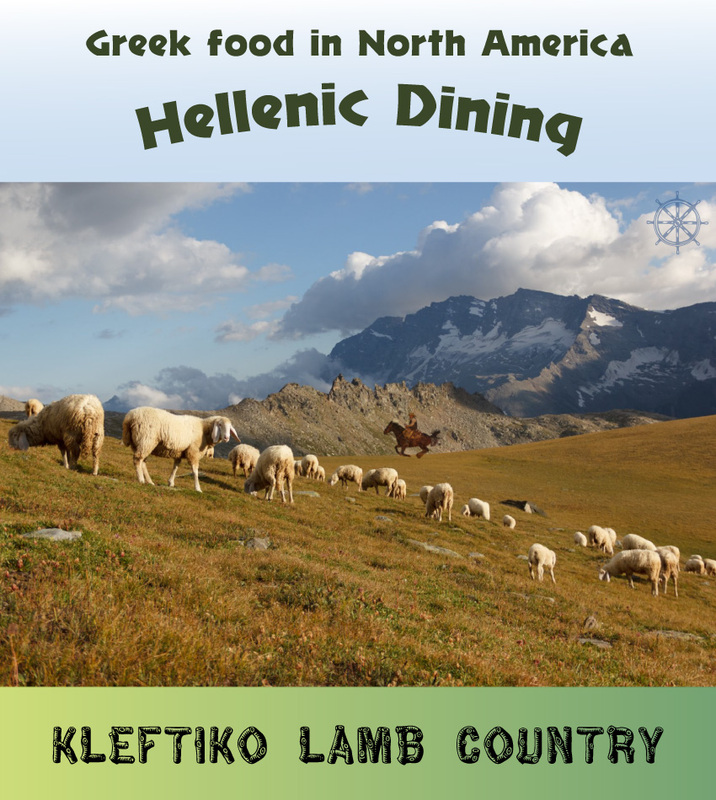 The ad copy (text) simply says Kleftiko Lamb Country. Future ads will have other copy, i.e. Keftedes Country. Theme: Greek Ballroom is your source for great caterers! Theme: If it's not 1970, you probably need a digital ad agency. Description: Cartoon board meeting where a woman reminds the board that in the 1970s, newspaper and phone book advertising were effective. The Baywalk brand logo is featured in the ad. 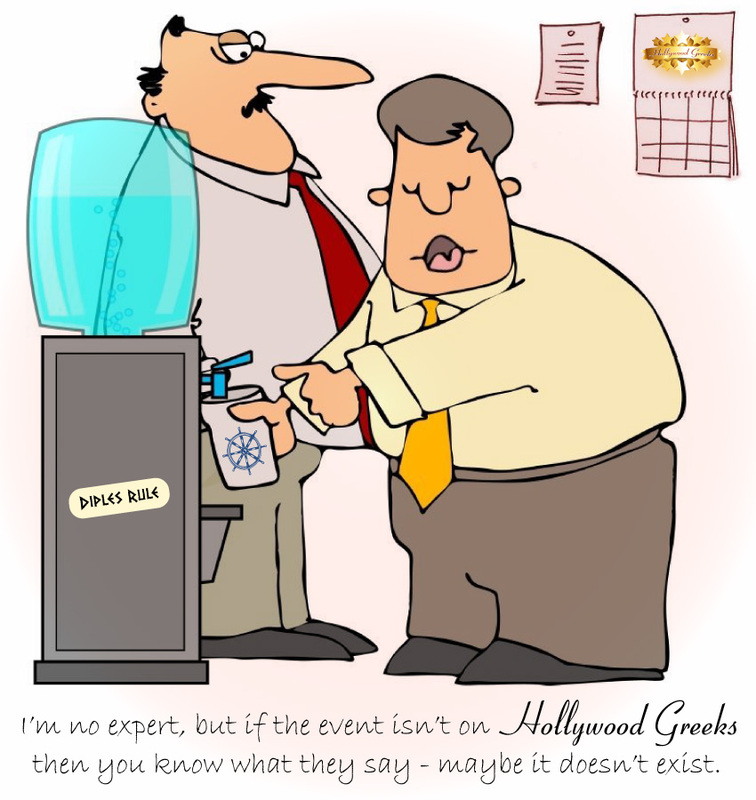 Theme: If an event isn't announced by Hollywood Greeks, then maybe it doesn't exist. Description: Cartoon of two men talking at a water cooler. Both Hollywood Greeks and Baywalk brand logos are featured in the ad. 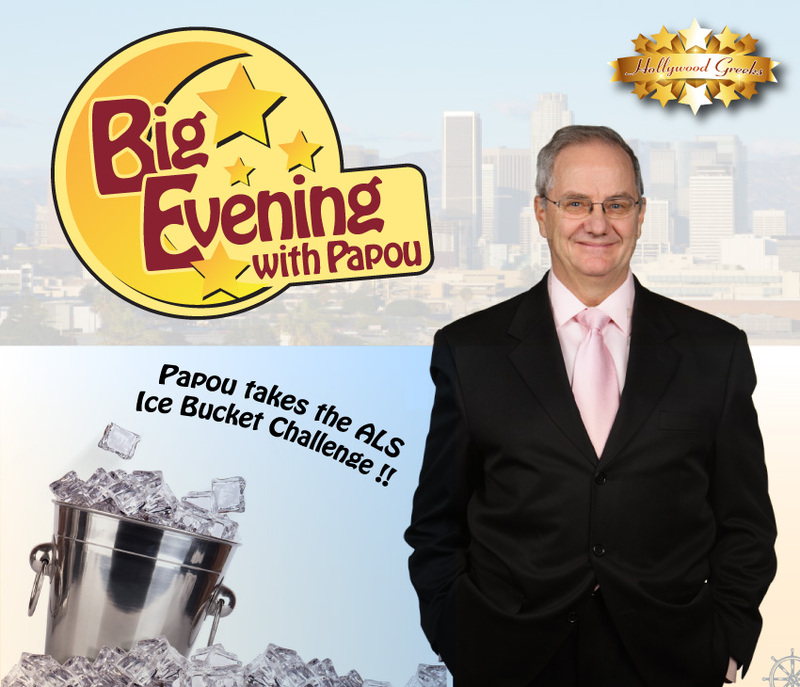 Theme: Papou takes the ALS Ice Bucket Challenge! Recurring character: Papou, the voice of Greek grandfatherly diplomacy — he is also the talk show host of Big Evening. Theme: Will Yia Yia Mary's granddaughter be at the event? 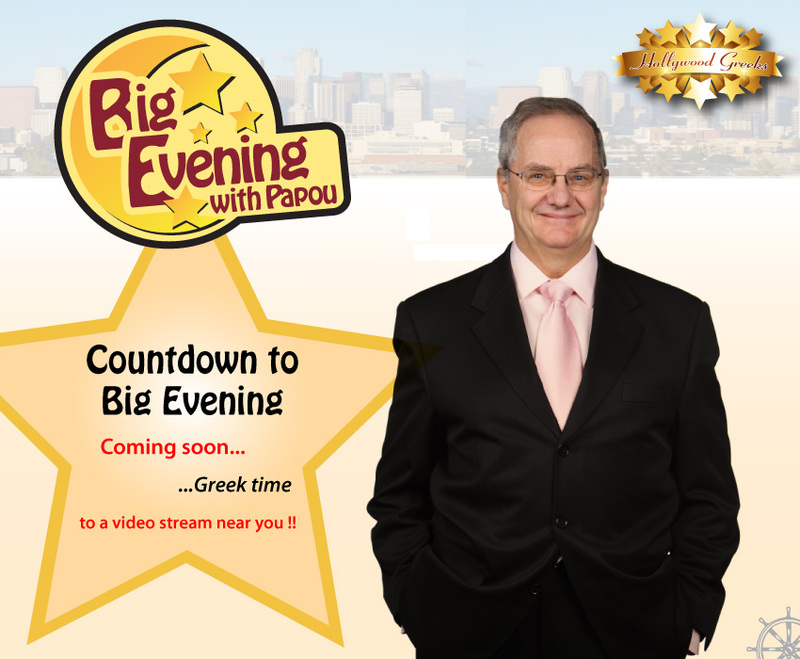 A promo for the talk show Big Evening with Papou! Theme: If an event isn't announced by Hollywood Greeks, then maybe it doesn't exit. Description: Silhouette of a stargazer who is looking at at the night time sky. Stars light up with the Hollywood Greeks golden star logo approaching the high point of the sky. 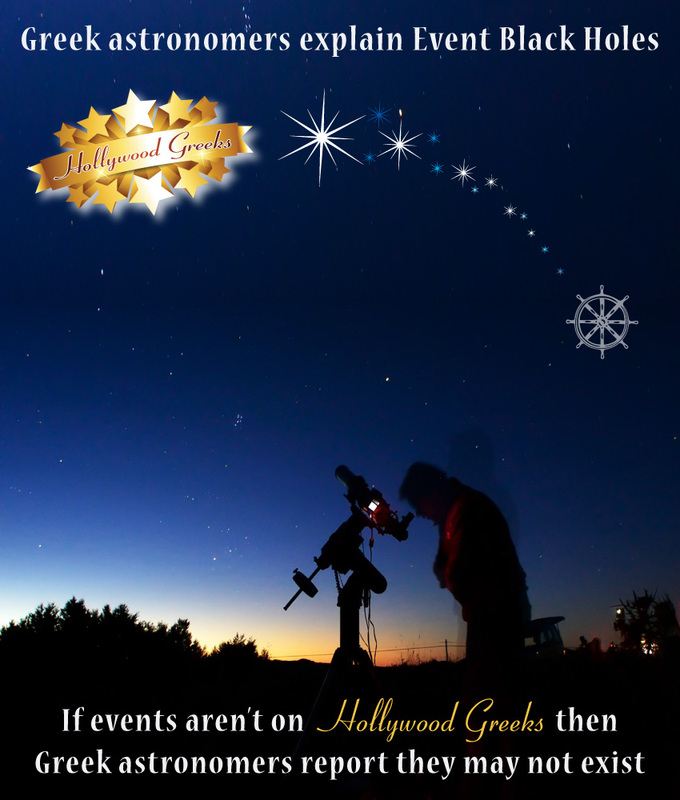 The ad copy (text) states that if events are not on Hollywood Greeks, then Greek astronomers report they may not exist. Both Hollywood Greeks and Baywalk brand logos are featured in the ad. Description: A riding cowgirl is rounding up cattle, and represents North America. The arching Hellenic Dining logo is above her. The ad copy (text) simply says Pastitsio Country. Future ads will have other copy, i.e. Keftedes Country. Theme: Meet you at the next Hellenic Festival! 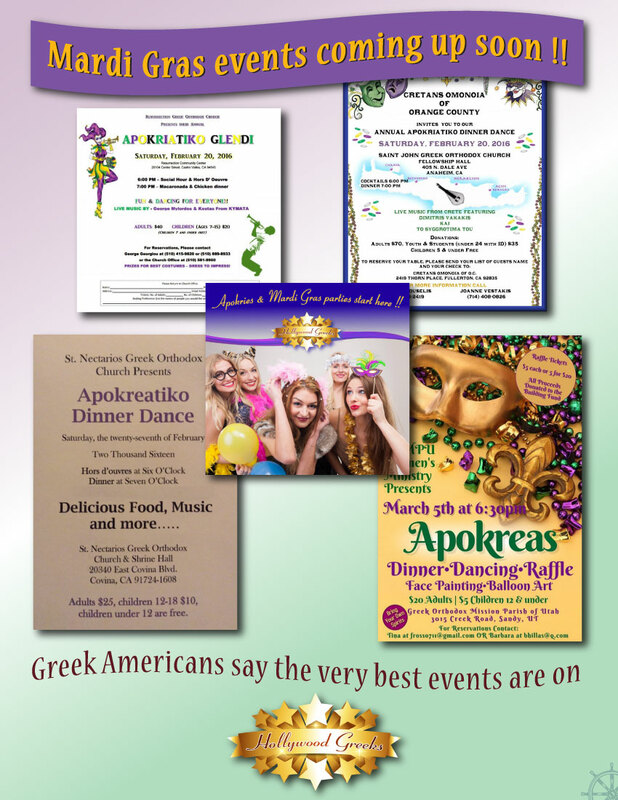 Media Mix: Hellenic Festival e-mail list, Facebook fan page, Twitter, LinkedIn, and Hollywood Greeks Tumblr blog. Theme: Big Evening talk show coming soon! Recurring character: Papou, the voice of Greek grandfatherly diplomacy — he is also Yia Yia Mary's husband. Papou and Yia Yia Mary are both Greek American brand mascots. 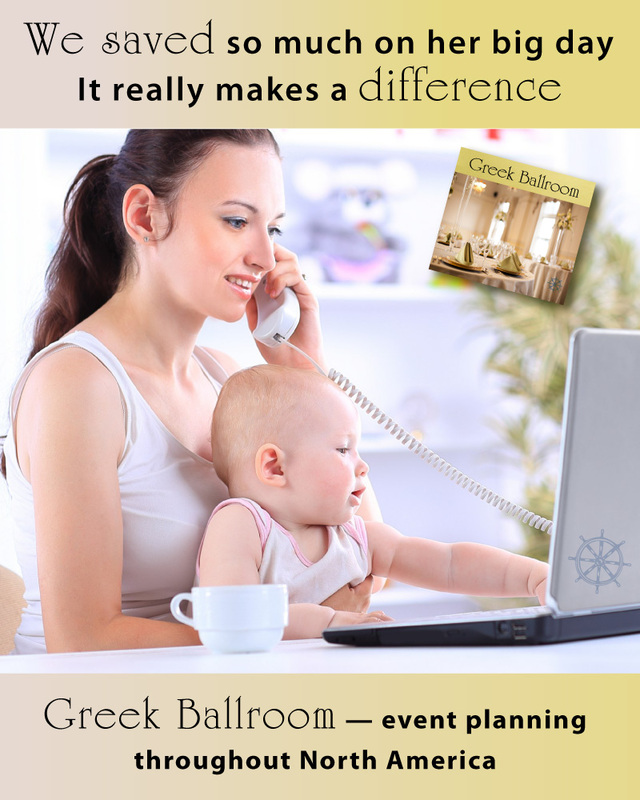 Theme: Save on your event planning by starting at Greek Ballroom! Description: A happy mom is planning a celebration for her daughter, reviewing the options on GreekBallroom.com. The ad copy (text) states that they saved so much on her big day, that it really makes a difference. Theme: Hollywood Greeks shares the best events with you! Theme: Save time by finding your favorite caterer on Greek Ballroom! 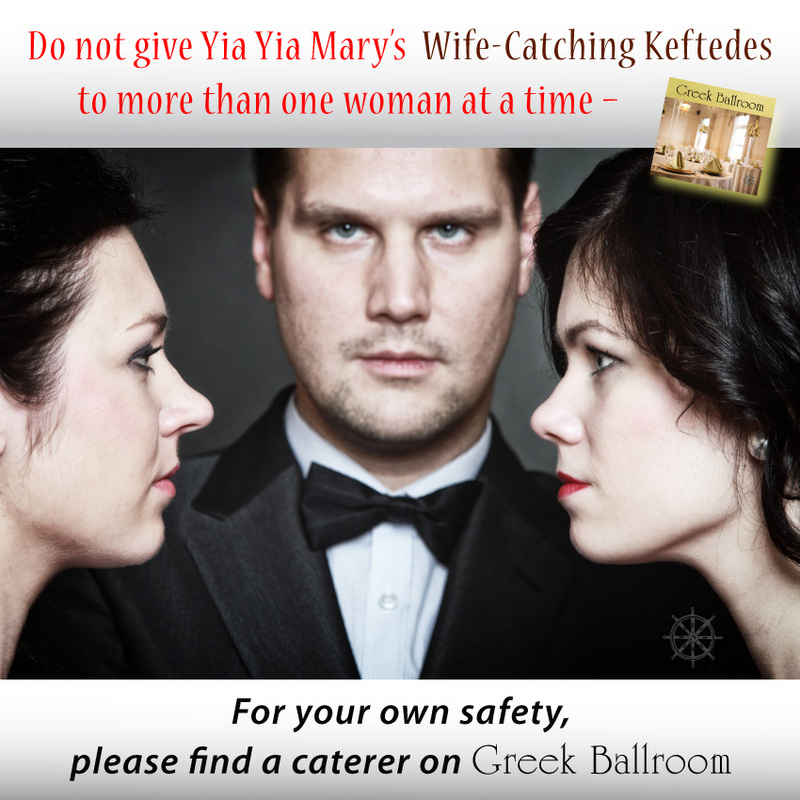 Description: A handsome man mistakenly gave Yia Yia Mary's Wife-Catching Keftedes to two women at the same time. For his own safety, it would have been a better choice to find a caterer through Greek Ballroom. Theme: I don't usually do the chasing, but for Yia Yia Mary's granddaughter - I'll make an exception. Start with Hellenic Festival. Description: Cartoon of a man searching for events, advising the woman behind him that events not on Hollywood Greeks might not exist. 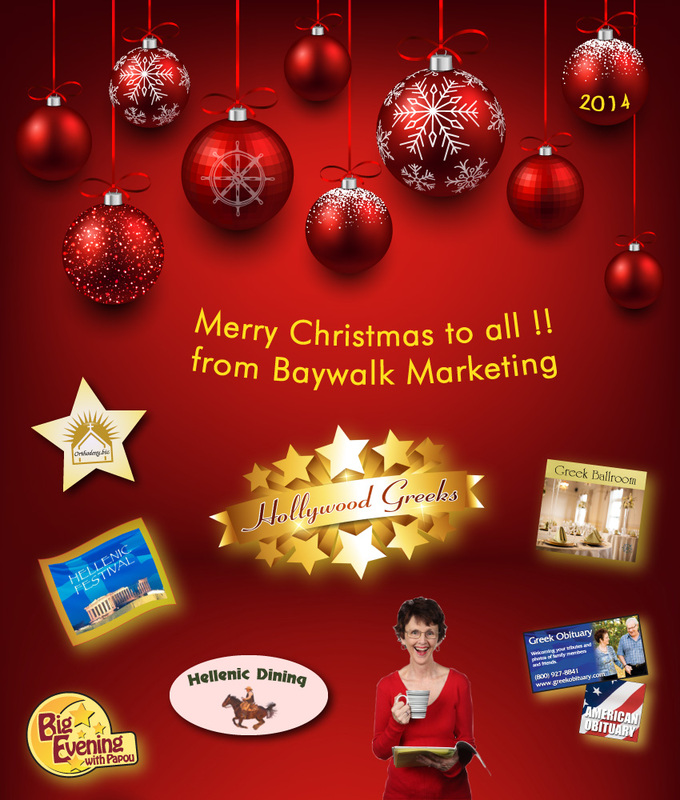 Both Hollywood Greeks and Baywalk brand logos are featured in the ad. Description: A riding cowboy is rounding up horses, and represents North America. The arching Hellenic Dining logo is above him. The ad copy (text) simply says Souvlakia Country. Future ads will have other copy, i.e. Keftedes Country. Theme: Reminder that event planning from the east coast to the west coast starts on Greek Ballroom! Description: A young girl is eating a delicious beef souvlaki cooked by her Papou, reminded us of Greek food. The arching Hellenic Dining logo is above her. The ad copy (text) simply says that Papou makes the best beef souvlakia. 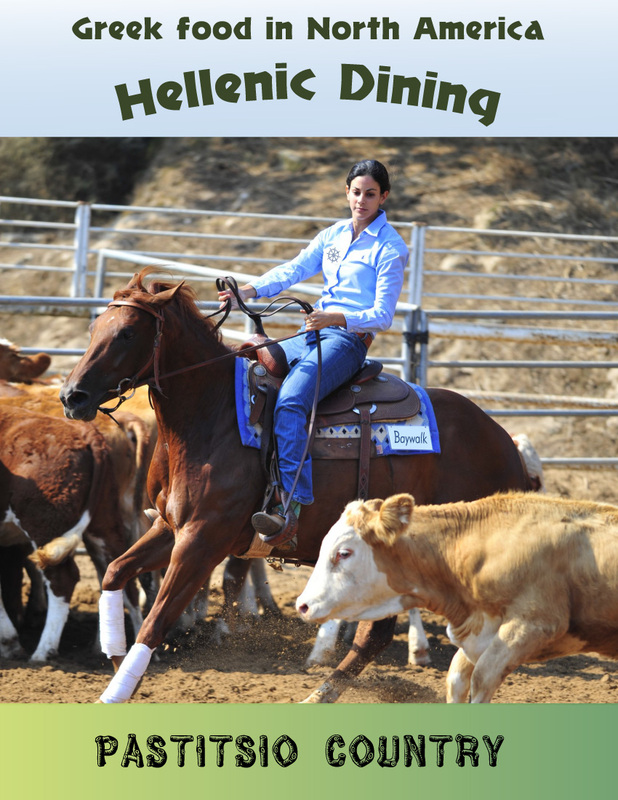 Description: A cowboy riding his horse represents North America, with the arching Hellenic Dining logo above him. The ad copy (text) simply says Moussaka Country. Future ads will have other copy, i.e. Keftedes Country. Description: A star struck husband is wondering if they should hire a beautiful celebrity chef for their event. 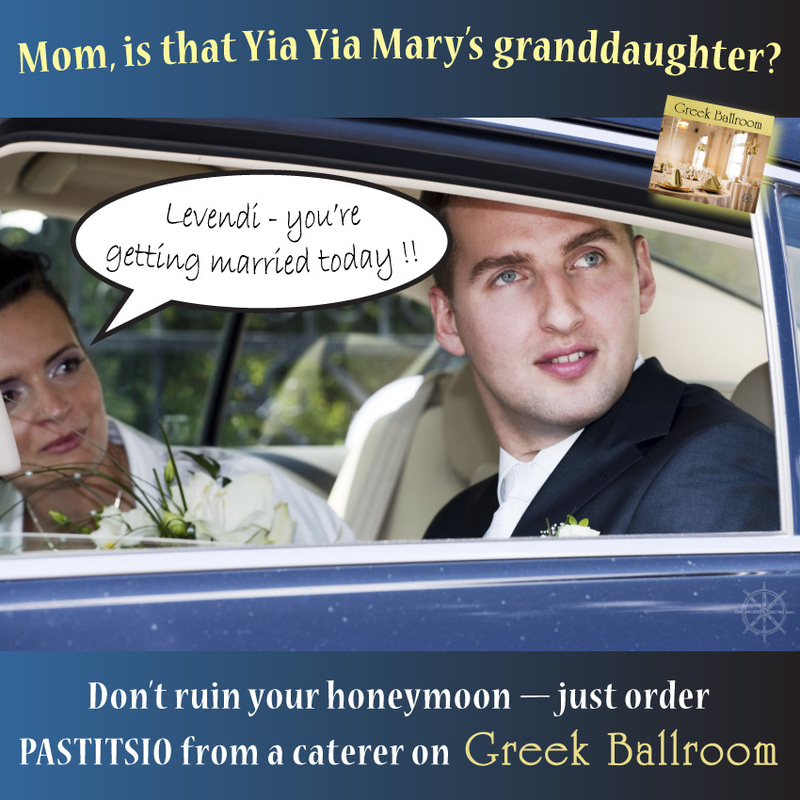 The wise wife states in the ad copy (text) that they don't have time, and she found a caterer through Greek Ballroom. Media Mix: Hollywood Greeks e-mail list, Facebook fan page, Twitter, and Tumblr blog. Theme: Nobody makes a hamburger like the Greeks! Theme: Hollywood Greeks has crossed the pond! Description: In a link to a YouTube video, a British newscaster announces that it was first reported by Greek Canadians that Hollywood Greeks is now in the UK and Europe. Script: Breaking news has just come in - first reported by Greek Canadians, and now spreading throughout greater London — Hollywood Greeks has crossed the pond. In the UK and throughout Europe, Greeks have learned that if events are not on Hollywood Greeks, then maybe they don't exist. Stay connected people — hollywoodgreeks.com. Description: A happy couple is planning a celebration for their daughter, reviewing their options on GreekBallroom.com. The ad copy (text) states that they saved so much on her big day, that it really makes a difference. 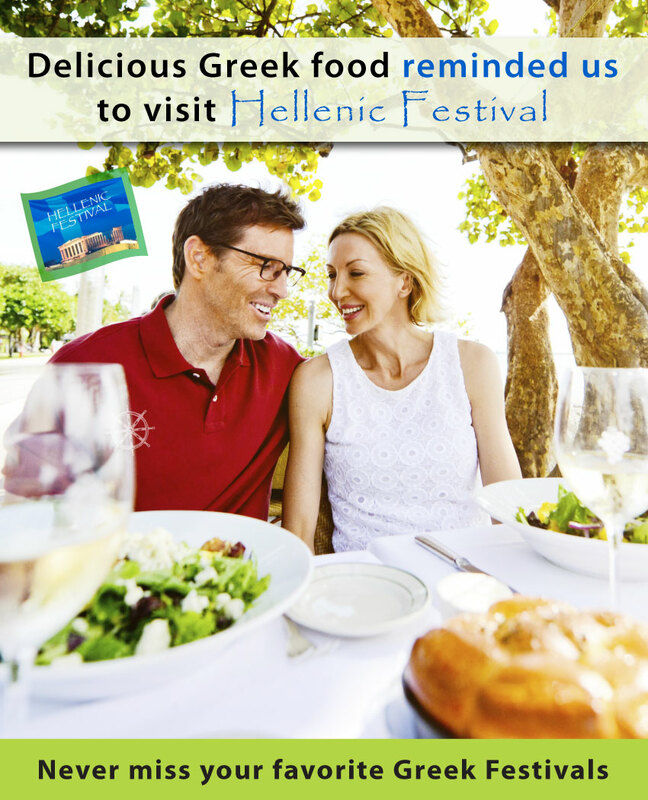 Theme: Find your favorite Greek food and pastry at Hellenic Festival! Recurring character: Yia Yia Mary, the voice of Greek grandmotherly wisdom. Yia Yia Mary is a Greek American brand mascot. Description: Yia Yia Mary looks shocked at the news that Thea Ethel is transferring to their ladies auxiliary chapter. The ad copy (text) states that she is worried that their festival will be known for soggy Galaktoboureko!! Both Hellenic Festival and Baywalk brand logos are featured in the ad. Theme: Baywalk Marketing is your first step to opportunity. Description: Sports themed ads tying in to current hockey and basketball events. The Baywalk and Hollywood Greeks brand logos are featured in both ads. 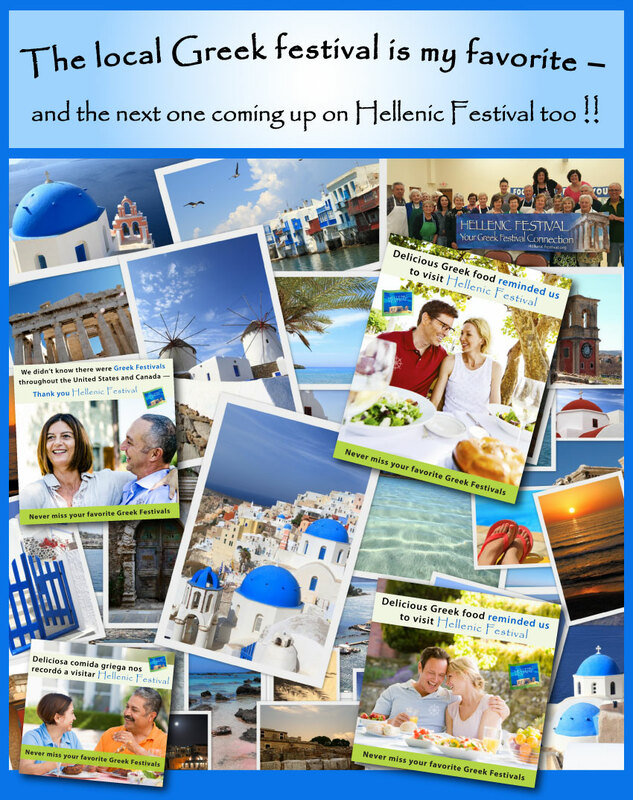 Theme: Hellenic Festival shares your favorite Greek Festivals in North America! Description: A loving couple learns there are great Greek Festivals throughout North America by visiting Hellenic Festival. Both Hellenic Festival and Baywalk brand logos are featured in the ad. Media Mix: Hollywood Greeks and Hellenic Festival e-mail list, Facebook fan page, Twitter, and Hollywood Greeks' Tumblr blog. Description: A handsome non-Greek man is reminding friends that they will be meeting at the next Hellenic Festival. Both Hellenic Festival and Baywalk brand logos are featured in the ad. Theme: Happy Mother's Day and Big Evening with Papou gets renewed for a second season! Description: Papou is seated at his talk show desk with Los Angeles pictured in the background. The ad copy (text) announces upcoming events that can be found on Hollywood Greeks. Both Hollywood Greeks and Baywalk brand logos are featured in the ad. Yia Yia Mary is behind Papou, wishing everyone Happy Mother's Day and announcing that Big Evening is renewed for a second season. Theme: Delicious Greek food reminds us to check Hellenic Festival so we don't miss our favorite festivals. Media Mix: Hellenic Festival e-mail list, Facebook fan page, Twitter, and Hollywood Greeks' Tumblr blog. Description: A happy Hispanic couple is enjoying their favorite Greek food, and reminded to check Hellenic Festival for when their next favorite Greek festival is coming up. 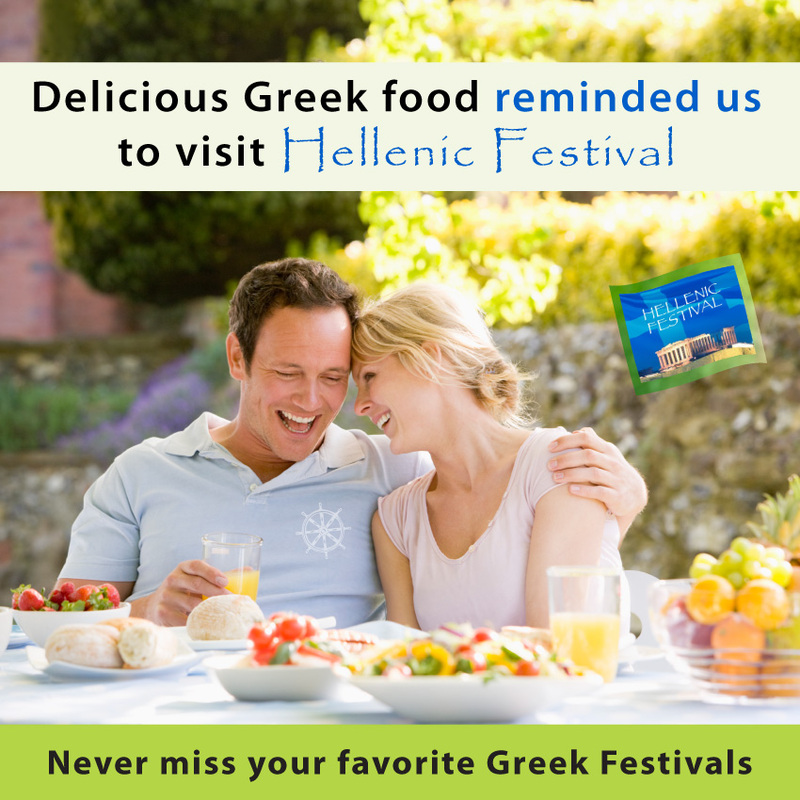 The ad copy (text) in Spanish translates to "Delicious Greek food reminded us to visit Hellenic Festival". The Hellenic Festival logo is featured in the ad. Theme: Yia Yia Mary makes her musical debut on Big Evening with Papou! Description: Yia Yia Mary is singing into a microphone, with spotlights all around her. 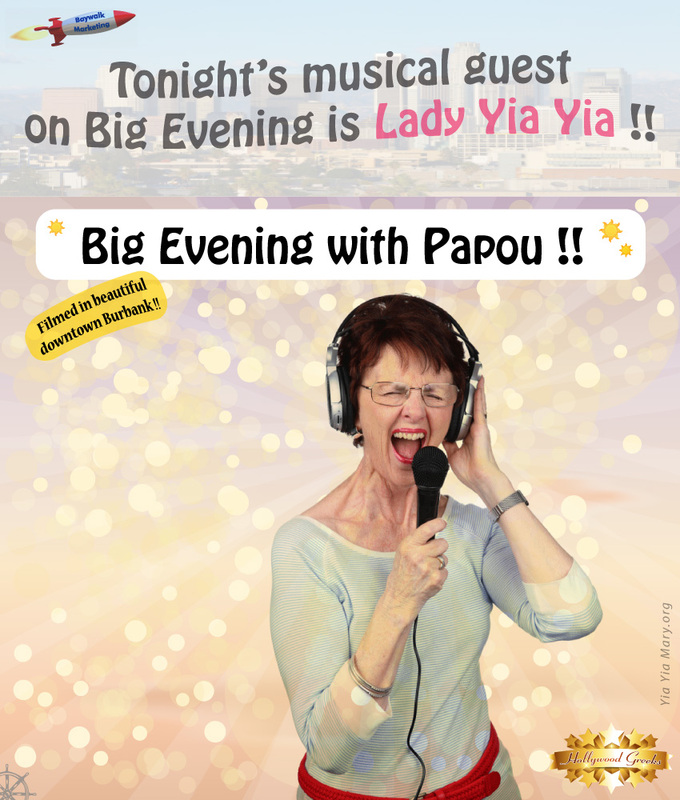 The ad copy (text) announces that tonight's musical guest on Big Evening with Papou is Lady Yia Yia !! Both Hollywood Greeks and Baywalk brand logos are featured in the ad. Description: A happy non-Greek couple is enjoying their favorite Greek food, and reminded to check Hellenic Festival for when their next favorite Greek festival is coming up. Both Hellenic Festival and Baywalk brand logos are featured in the ad. Theme: If your teens get bad grades or buy pork souvlaki, they may need charm school! 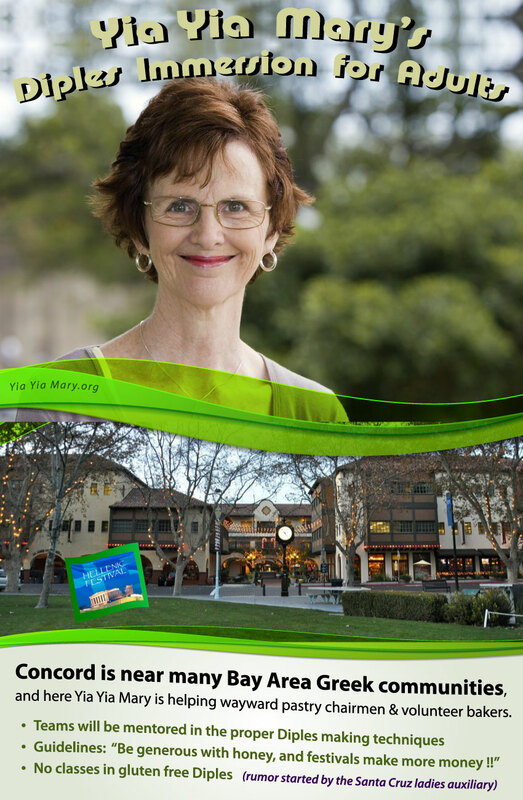 Recurring character: Yia Yia Mary, the voice of Greek grandmotherly wisdom, has her headshot featured in the upper-right hand corner of the ad. Yia Yia Mary is a Greek American brand mascot. Description: Two frustrated teens are thinking that they will do whatever it takes to correct their bad behavior and avoid more sessions of Yia Yia Mary's Charm School. The ad copy (text) in the dialog bubbles state that no more bad grades and no more pork souvlaki for Papou. The Baywalk brand logo is featured in the ad. Theme: If he's complaining about the Greek food, then just find a Greek caterer who delivers. Recurring character: Yia Yia Mary, the voice of Greek grandmotherly wisdom is speaking to the young woman, but not pictured. Yia Yia Mary is a Greek American brand mascot. Description: A frustrated young wife is asking Yia Yia Mary about her husband comparing her food to Yia Yia Mary's. The ad copy (text) at the bottom shares the wisdom that perhaps it is best to just order a tray from a Greek caterer who delivers. The Baywalk brand logo is featured in the ad. 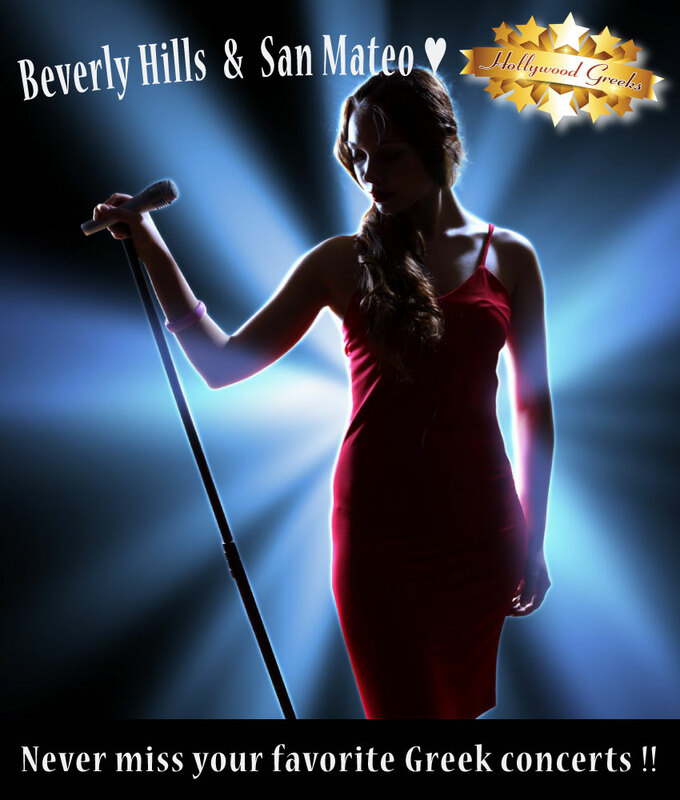 Theme: Hollywood honors Papou for his new show's ratings and advertising power! Description: A billboard cut out of Papou is seated at the top of a famous tinseltown landmark. The ad copy (text) announces that Tinseltown honors Papou and the Big Evening talk show all the Greeks are talking about !! The Hollywood Greeks brand logo is featured in the ad. Theme: Not having events on Hollywood Greeks is disturbing. Description: A frustrated man is staring into computer screen late at night, weary that his events are not on Hollywood Greeks. The Hollywood Greeks golden star logo is at the lower corner of the ad. 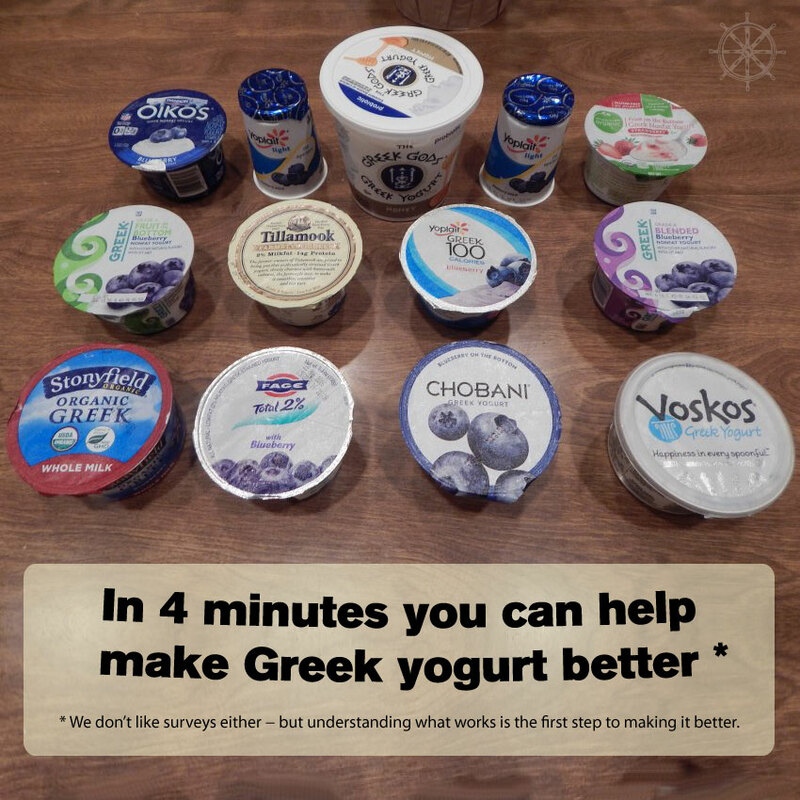 The ad copy (text) states that Greek therapists reveal a disturbing study — not having events on Hollywood Greeks is disturbing. Theme: Papou's ratings and advertising power are up! Recurring character: Yia Yia Mary, the voice of Greek grandmotherly wisdom. Papou, the voice of Greek grandfatherly diplomacy — he is also Yia Yia Mary's husband. Papou and Yia Yia Mary are both Greek American brand mascots. Description: Papou is seated at his studio office desk desk with Los Angeles pictured in the background. Yia Yia Mary is standing beside him, and both are smiling at the good rating news. The ad copy (text) announces that Big Evening ratings are way up after just 3 weeks! Both Hollywood Greeks and Baywalk brand logos are featured in the ad. 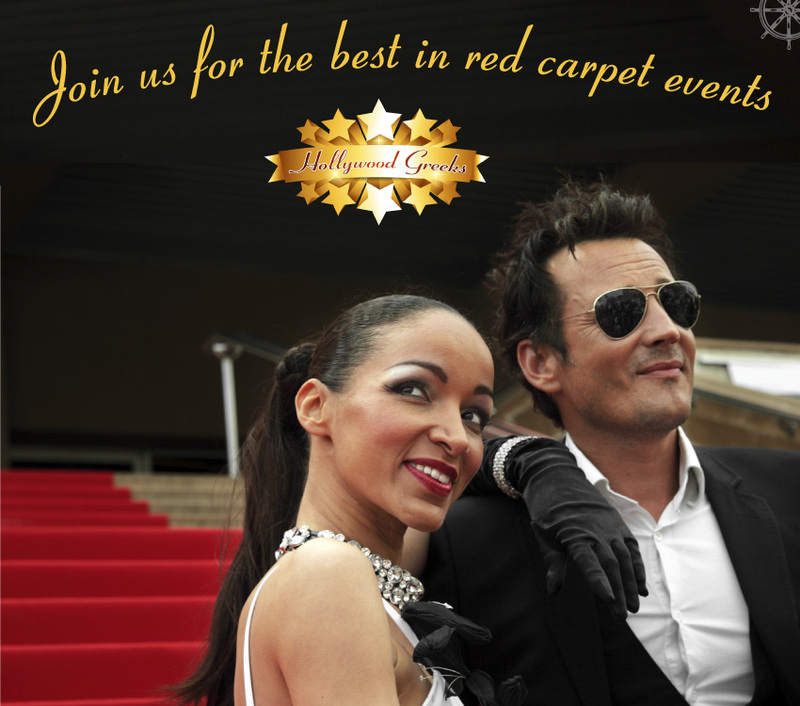 Theme: Join us for the best in red carpet events. Description: A beautiful Hollywood couple is front and center gazing at the crowd. The red carpet is in the background, with the Hollywood Greeks golden star logo at the top of the ad. 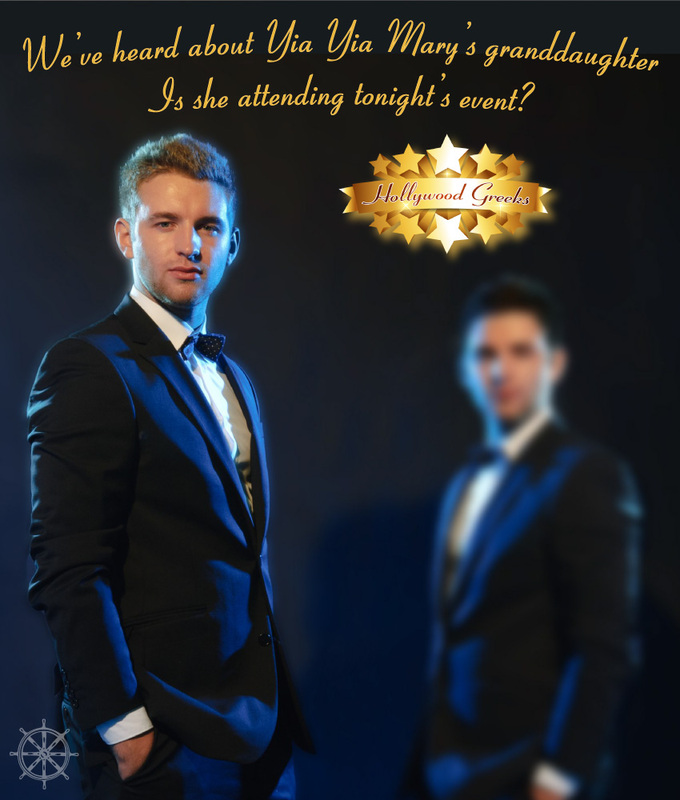 The ad copy (text) is above the Hollywood Greeks logo, and asks the audience to join the stars in the best red carpet events. Both Hollywood Greeks and Baywalk brand logos are featured in the ad. Description: Silhouettes of several stargazers are looking at at the night time sky. A star lit comet swirls to the top with Hollywood Greeks golden star logo approaching the high point of the sky. 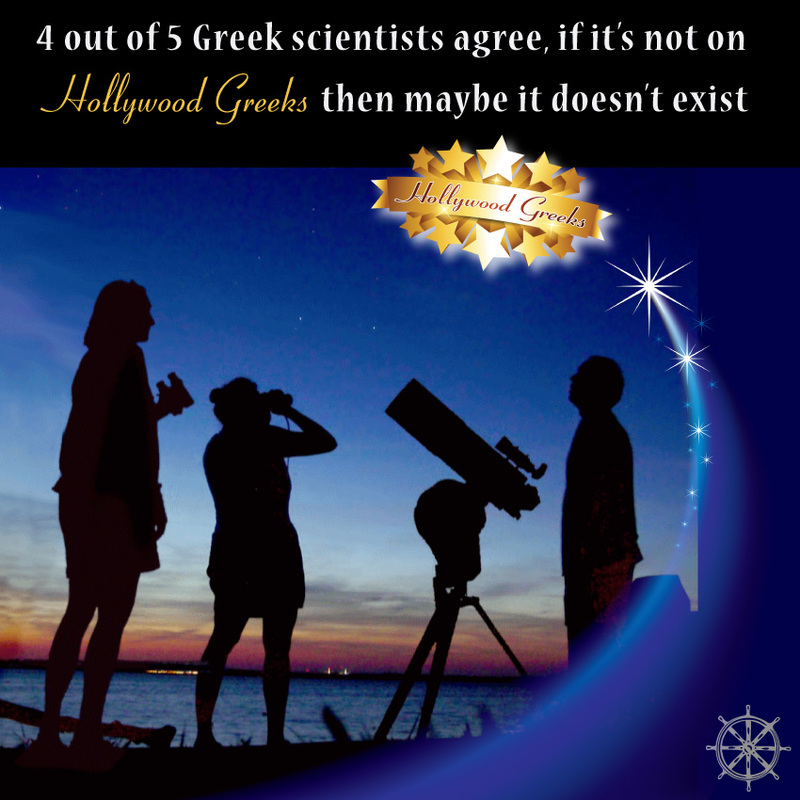 The ad copy (text) states that if it's not on Hollywood Greeks, then maybe it doesn't exist. It uses the 4 out of 5 Greek scientists agree as humorous catch phrase. Both Hollywood Greeks and Baywalk brand logos are featured in the ad. Theme: If an event isn't announced by Hollywood Greeks, it might be disappointing and end your evening early. Description: A woman is all dressed up, and explaining in a frustrated voice how she and her husband had to come home early from a disappointing event. The ad copy (text) asks why he didn't check Hollywood Greeks first. Both Hollywood Greeks and Baywalk brand logos are featured in the ad. Theme: Papou takes over late night television. are both Greek American brand mascots. Description: Papou is seated at his talk show desk with Los Angeles pictured in the background. The ad copy (text) announces upcoming events that can be found on Hollywood Greeks. Both Hollywood Greeks and Baywalk brand logos are featured in the ad. Theme: Everyone can learn Greek dancing at the next Greek Festival. Recurring character: Yia Yia Mary, the voice of Greek grandmotherly wisdom is speaking to the young man, but not pictured. Yia Yia Mary is a Greek American brand mascot. Description: A clueless young husband is ignoring advice from Yia Yia Mary that perhaps it isn't best for a young married man to teach single girls how to dance. His angry wife is glaring at him in the background. The ad copy (text) at the bottom shares the wisdom that perhaps it is best for others to learn Greek dancing at the festivals. Both Hellenic Festival and Baywalk brand logos are featured in the ad. 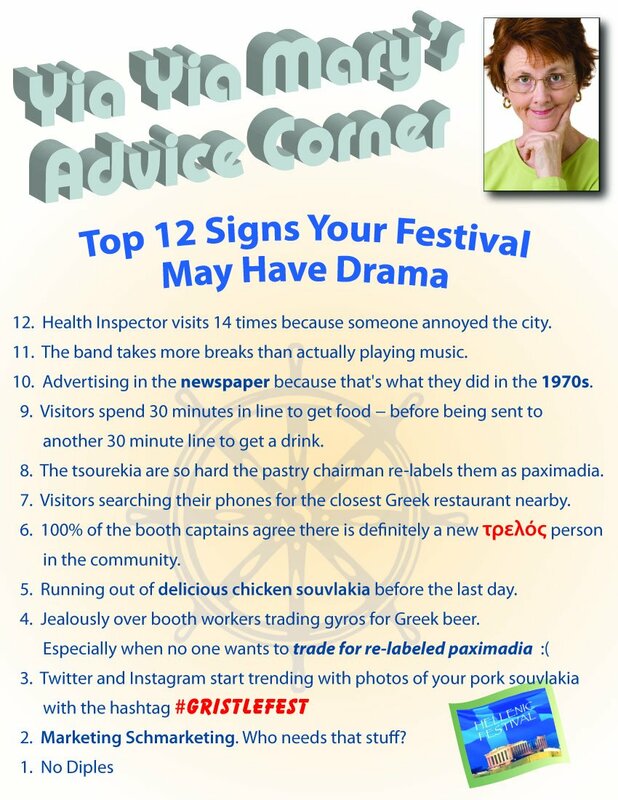 Theme: Reminder that Greek Festival season is approaching. Theme: Reminder that Greek Festival season is starting with humorous baking Greek pastries requirement for dance leaders ad. 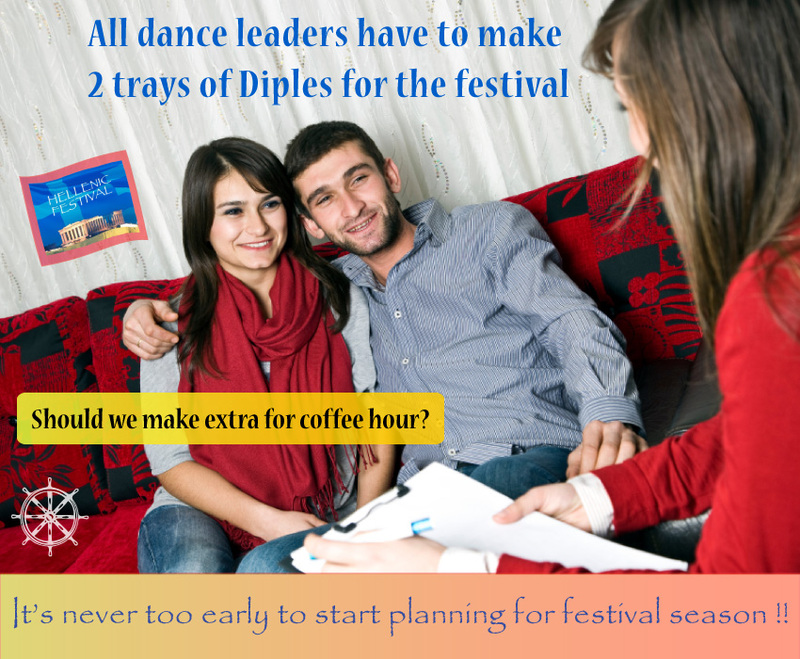 Description: Two happy dance leaders are being advised that they will have to make Diples pastry for the festival. Both Hellenic Festival and Baywalk brand logos are featured in the ad. Theme: Is your marketing or advertising flat? 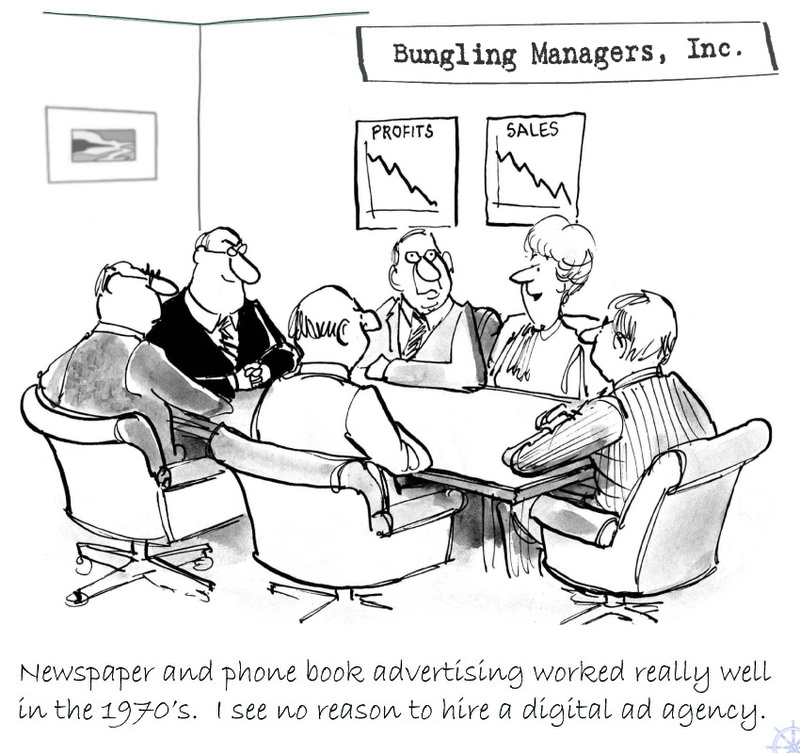 Is it time for a new digital ad agency? Description: Yia Yia Mary is asked by her concerned young relative (her granddaughter or great-niece) if her Greek pastry is flat. 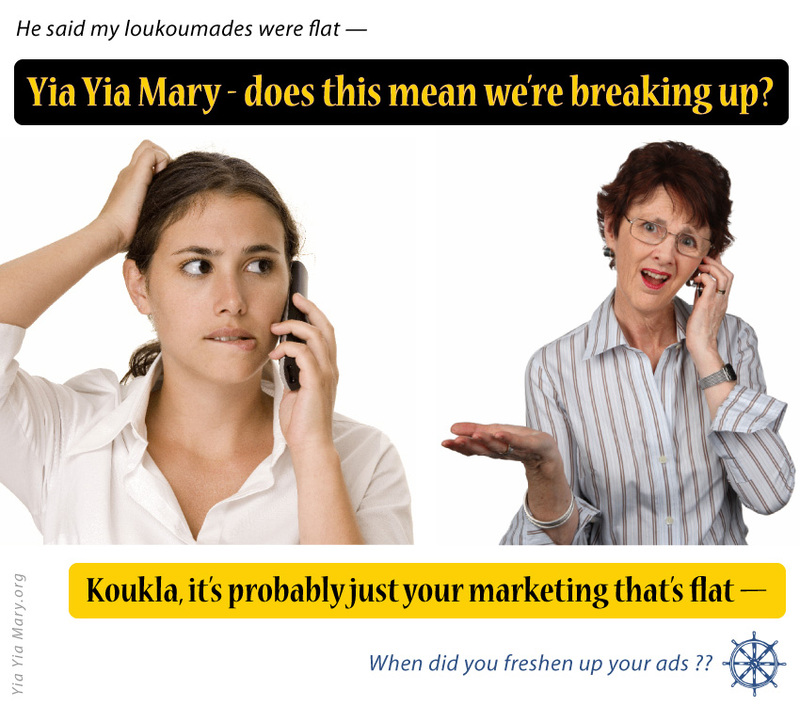 Yia Yia Mary responds soothingly that it's probably her marketing that is flat. Both the Baywalk Marketing logo and Yia Yia Mary brands are referred to within the ad. Theme: Reminder that Greek Festival season is starting with humorous baking Greek pastries = cute boyfriend ad. 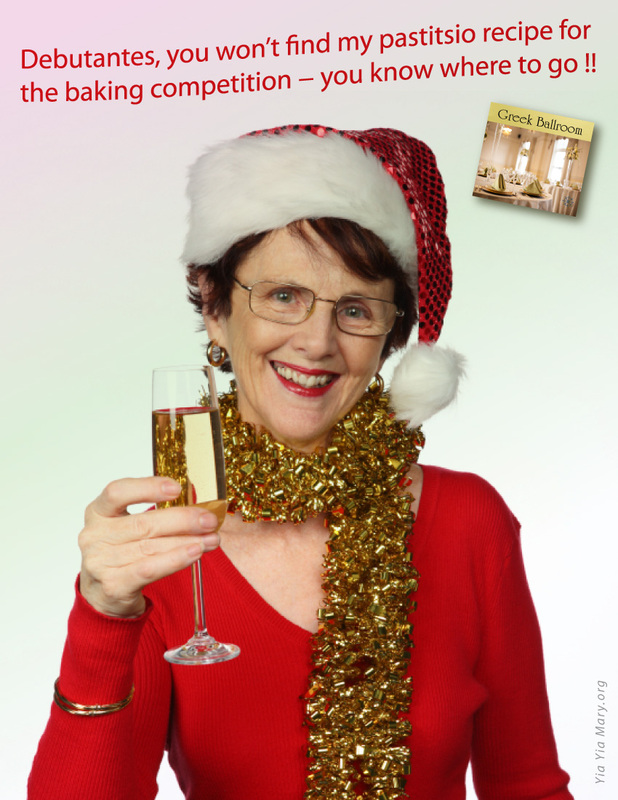 Recurring character: Yia Yia Mary, the voice of Greek grandmotherly wisdom is speaking in the ad copy (text), but not pictured. Yia Yia Mary is a Greek American brand mascot. Description: A happy college student is in focus holding a sign. 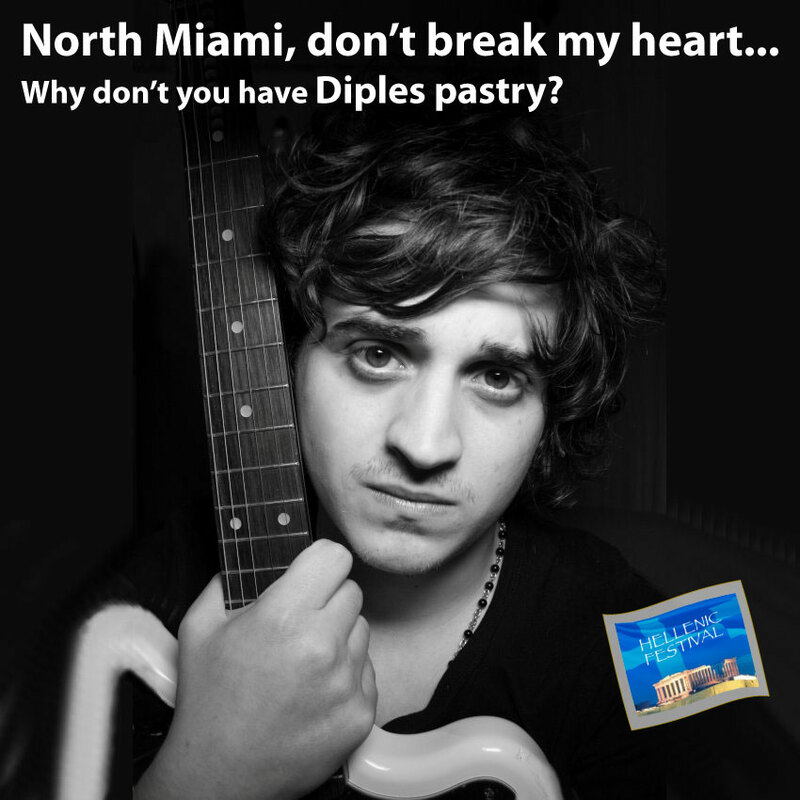 The ad copy (text) on the sign says that making Diples pastry will bring a cute boyfriend into the picture. Both Hellenic Festival and Yia Yia Mary brands are referred to within the ad. Theme: Anyone can plan fun events at Greek Ballroom. Recurring characters: Heather and Amy, two young ladies who aren't Greek, but who like the Greek culture and Greek festivals. Description: Heather and Amy are carrying shopping bags, stating in the ad copy (text) that you don't have to be Greek to plan your events on Greek Ballroom. 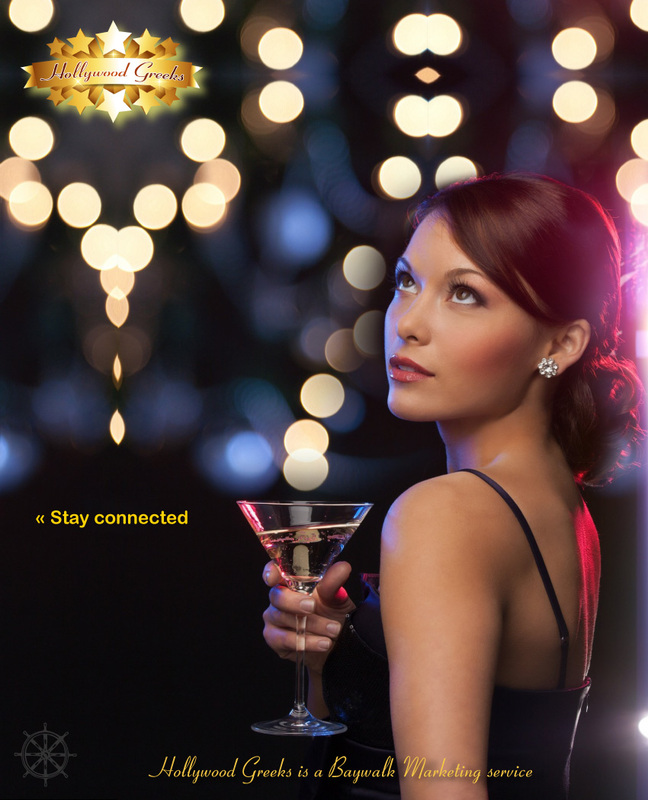 The Greek Ballroom text and the Baywalk Marketing logo are at the bottom part of the ad, tying in Greek Ballroom to the other Baywalk Marketing brands. 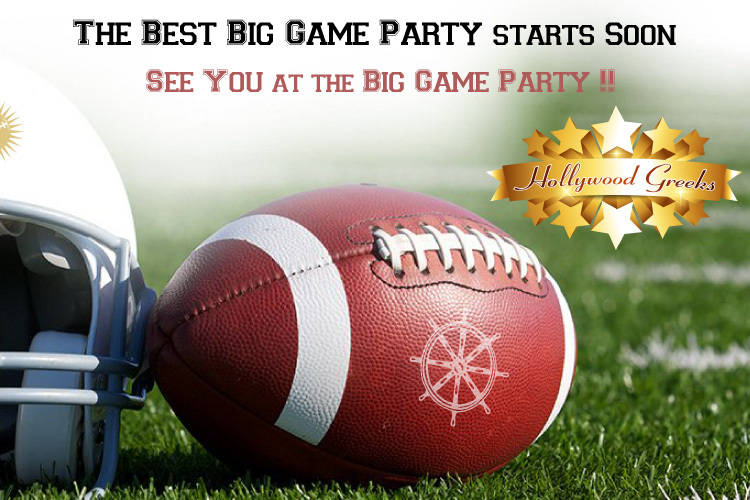 Theme: The best Big Game Parties are starting soon. Find a great one with Hollywood Greeks style. 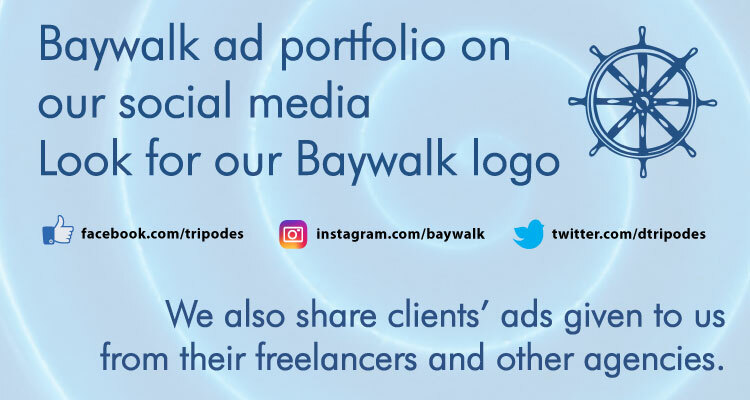 The Hollywood Greeks and the Baywalk Marketing logos are in the ad, tying in Hollywood Greeks to the other Baywalk Marketing brands. Promotion includes a YouTube video talking about the event fun and what to expect. Theme: Newly married couple agrees to help the Greek Festival. — Tagline in Facebook posts: Does every couple agree to this? Or is it just required for newlyweds? The Hellenic Festival and the Baywalk Marketing logos are in the ad, tying in Hellenic Festival to the other Baywalk Marketing brands. Theme: Greek Ballroom has make-up artists for weddings and events. The Greek Ballroom name and the Baywalk Marketing logo are at the bottom part of the ad, tying in Greek Ballroom to the other Baywalk Marketing brands. Theme: Greek Ballroom is where to start when you don't know where to begin in planning your Greek wedding. Description: A frustrated woman is giving her guy the cold shoulder because he isn't helping enough to plan their wedding. Theme: This place makes me feel special. It's your perfect place! Description: A Mercedes-Benz futuristic license plate is front and center. The ad copy (text) in the license plate says A-LIST, Best Events, and GREEKBALLROOM. The year on the sticker says 2025, so presumably we will have more letters in the future. 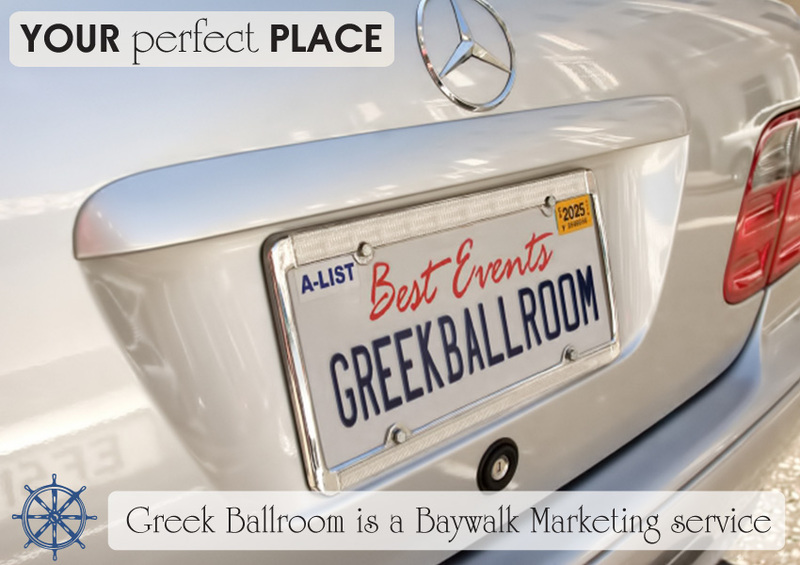 The ad copy at the top of the ad states simply YOUR perfect PLACE, indicating that no matter which Greek Ballroom venue you select, it will be the right one. 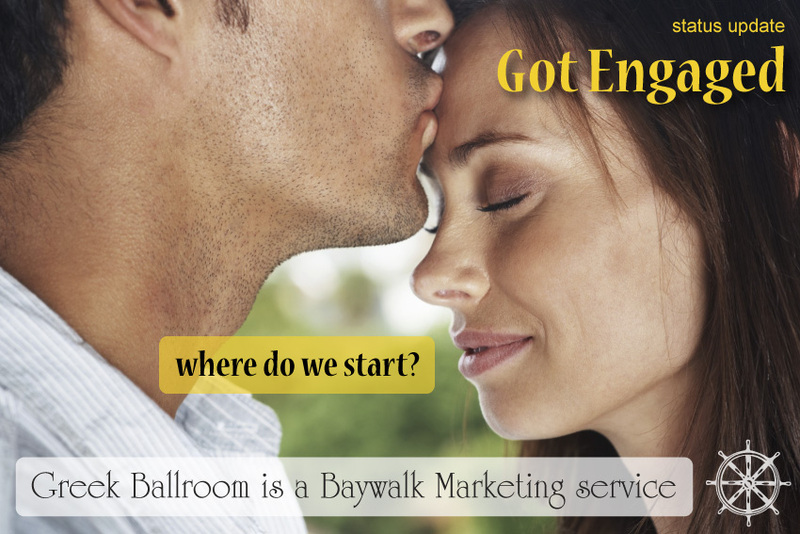 Theme: When you get engaged, Greek Ballroom is where you start for your wedding planning. Description: Yia Yia Mary advises her young relative (granddaughter or great-niece) that it she gets married soon, she can start planning the wedding. Theme: Got Engaged? 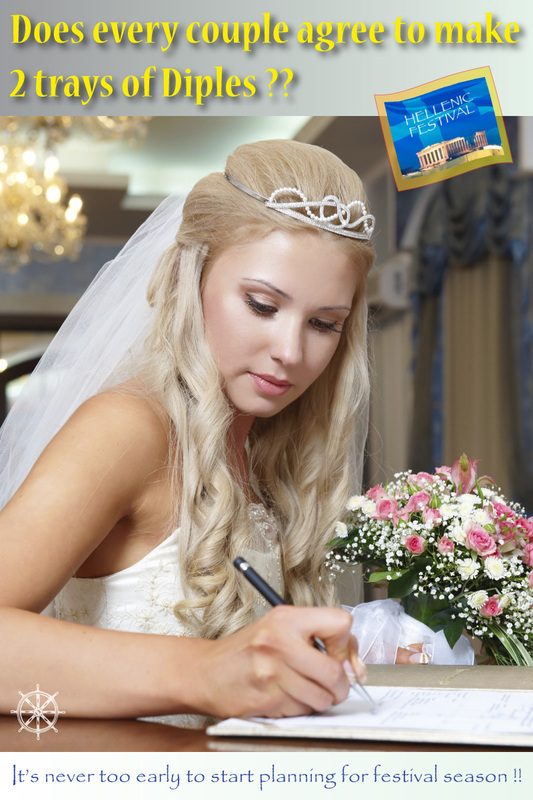 Greek Ballroom is your source for planning your wedding. Description: The handsome man is kissing his fiancee's forehead. Her eyes are closed, thinking of all the next steps now that she can plan her wedding. The ad copy (text) states "where do we start?" followed by the Greek Ballroom text below it. 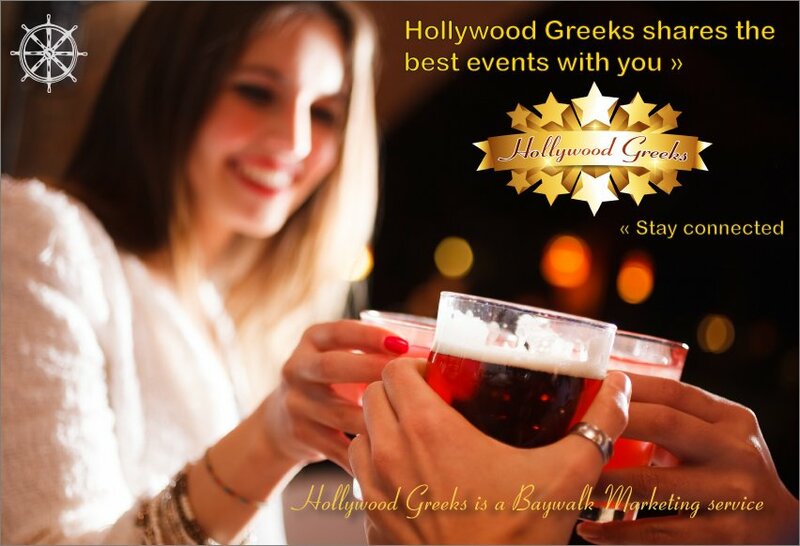 Theme: Hollywood Greeks is your source for information on the best Greek American events. Description: The beautiful woman in a red dress and drinking champagne in a limousine is in focus, emphasizing the elegant event that she is attending. The woman is in focus and gazing out the window, indicating that Hollywood Greeks has opened the door for her to attend a memorable event. The Hollywood Greeks logo and stay connected theme are in the lower-left hand corner. The Hollywood Greeks text is in the bottom part of the ad, tying in Hollywood Greeks to the other Baywalk Marketing brands. 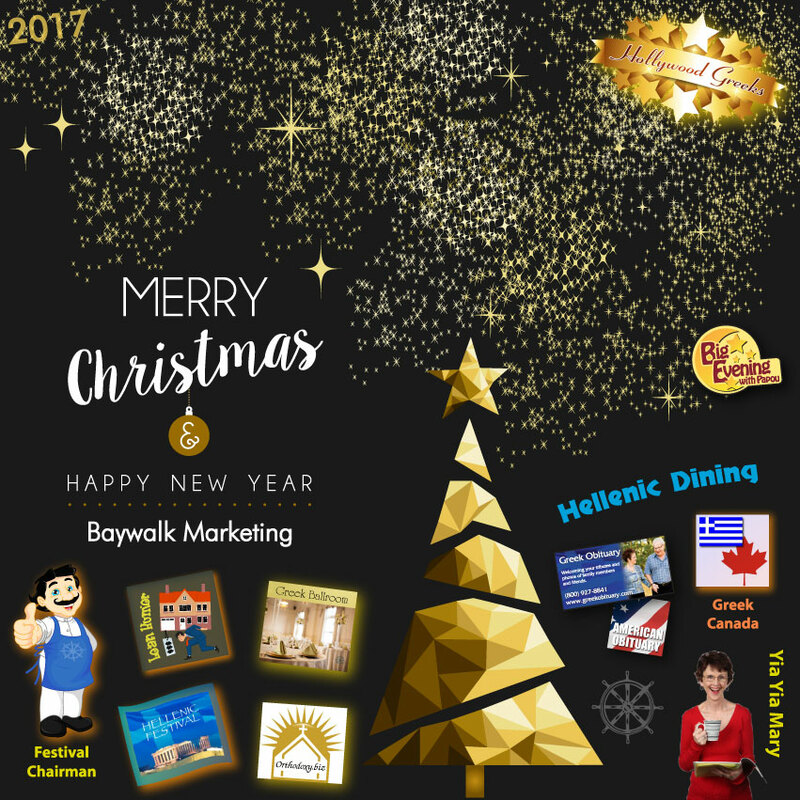 Theme: Baywalk Marketing and related services reach the Greek American universe. 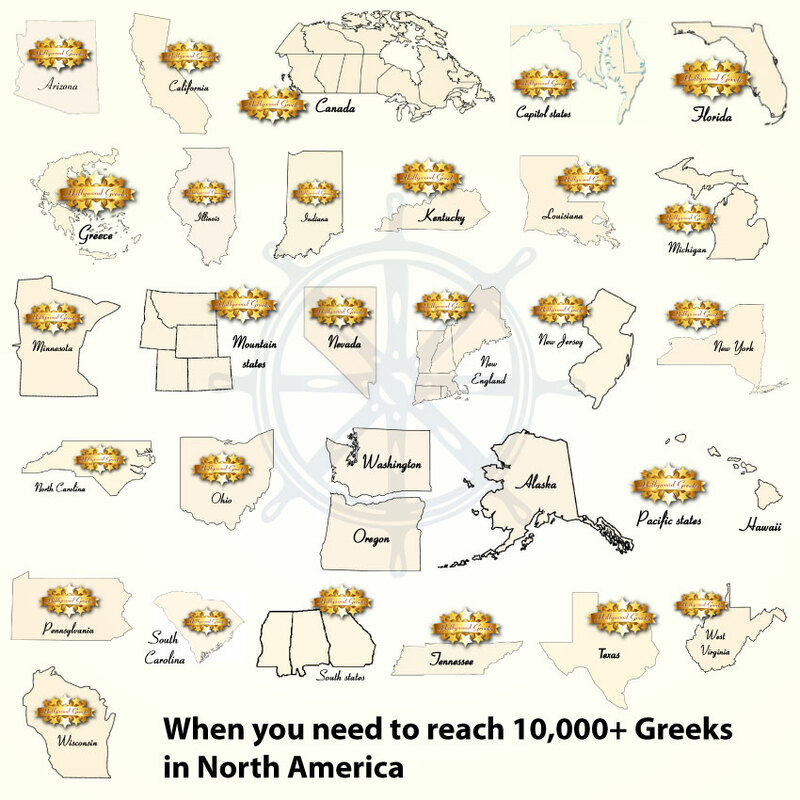 Segments: All prospects wishing to reach the Greek American segment. Description: The astronomical theme with a blue spiral galaxy is the background with a Baywalk Marketing rocket crossing space. 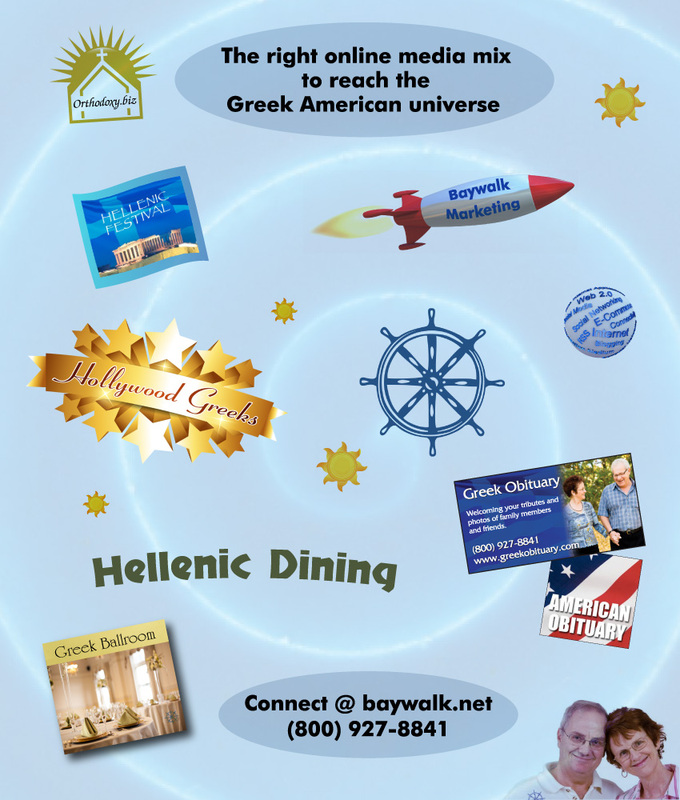 The rocket is soaring by orbiting "planets" which are the brand logos for Baywalk Marketing services, including Hollywood Greeks, Hellenic Festival, Greek Ballroom, Hellenic Dining, Orthodoxy.biz, Yia Yia Mary, Greek Obituary, and American Obituary. The globe shaped object is a Web 2.0 word mix describing online marketing services. The Baywalk nautical wheel logo is at the center of the galaxy spiral, with the brands, suns, and the rocket ship in its orbit. 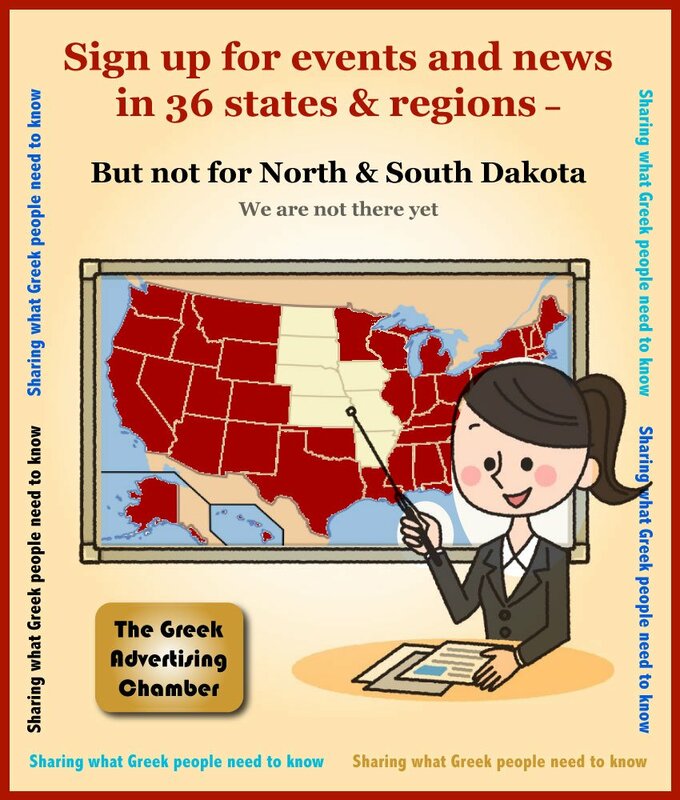 The ad copy (text) at the top states "The right online media mix to reach the Greek American universe," and the bottom of the ad has contact information. 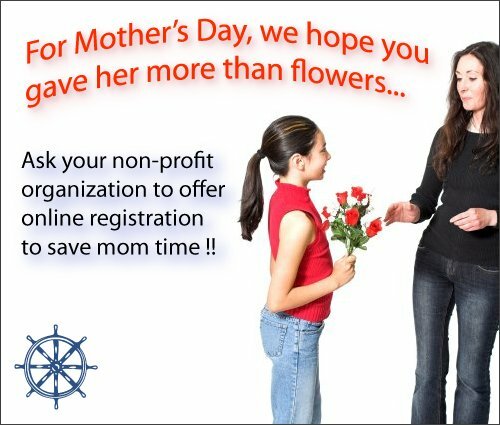 Theme: It saves time and is easy for mothers to use online registration for their children's activities and events. 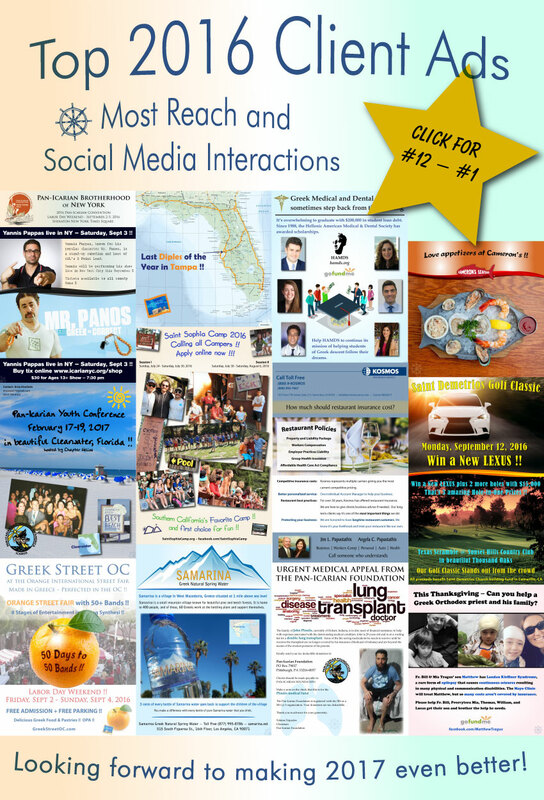 Media Mix: Orthodoxy.biz e-mail list, Facebook fan page, and Twitter. Hollywood Greeks Tumblr blog. Segments: Churches and non-profit organizations like Camps and Young Adult Groups. Description: The first mother is with her son, front and center in the ad. She is pointing to GOYA Events which would apply to her son. In the upper-right hand corner is another mother using a laptop to register her children for activities. The ad copy (text) lets us know that she will get a confirmation e-mail receipt. For the provider of the services, they can get multiple recipient notifications. 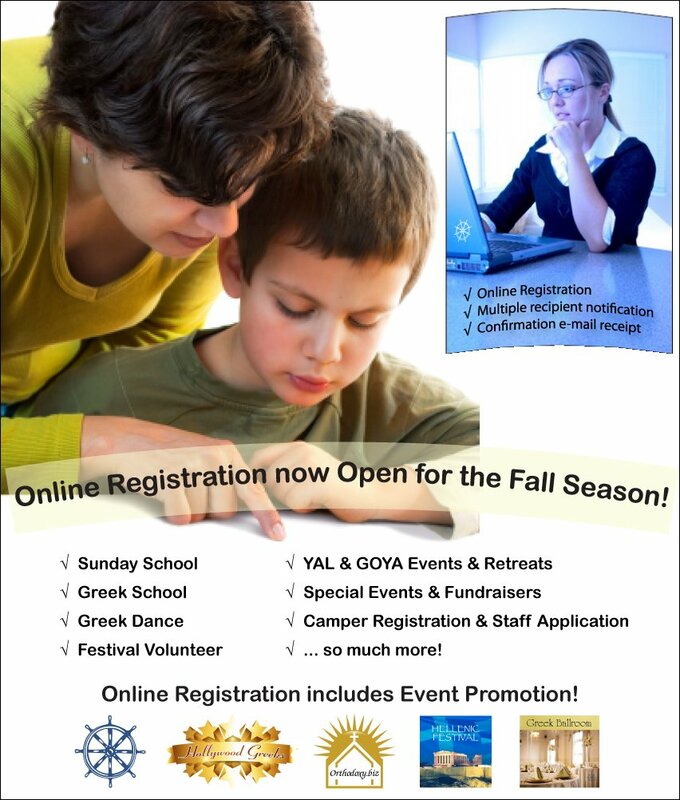 The main ad copy (text) across the middle of the page tells us that Online Registration is now open for the fall season. At the bottom of the page is the ad copy (text) indicating that Online Registration includes Event Promotion through Baywalk Marketing, Hollywood Greeks, Orthodoxy.biz, and Hellenic Festival. These are unique services to a targeted market that cannot be duplicated, increasing the value for the future customer. Theme: Hellenic Festival is the source for out of town people (not just college students) to find local Greek Festivals. 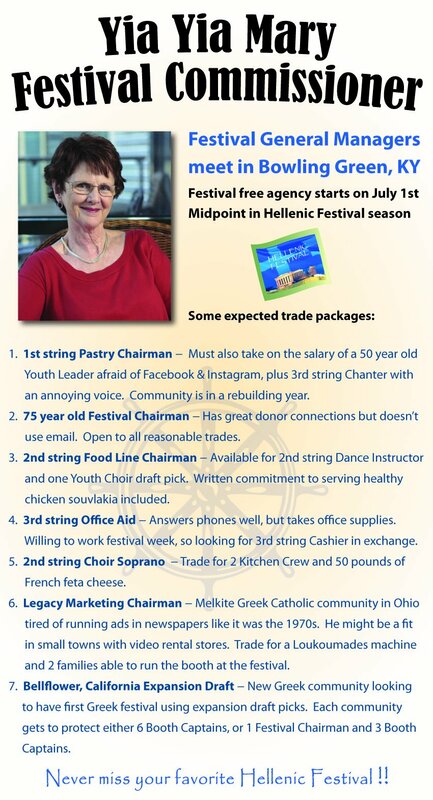 Media Mix: Hellenic Festival e-mail list, Facebook fan page, and Twitter. Hollywood Greeks Tumblr blog. Segments: Greek Americans or philhelenes who like Greek Festivals. Description: A college student is in focus, with his sister Jen behind him. 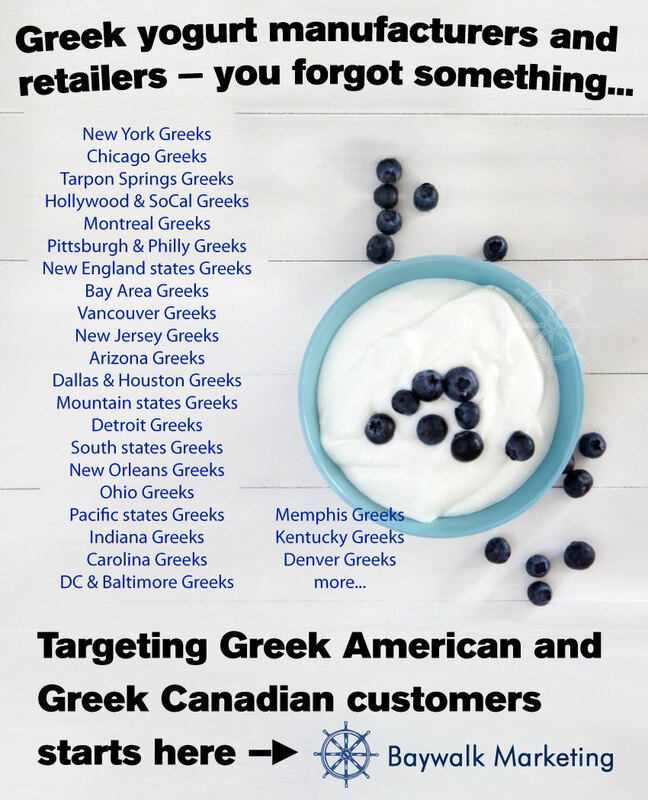 The ad copy (text) says that they promised their mother to stay connected to the Greek community, and Hellenic Festival allowed them to do that by easily finding local Greek Festivals. Mentioning their colleges indicates two of the target areas, southern California and Arizona. 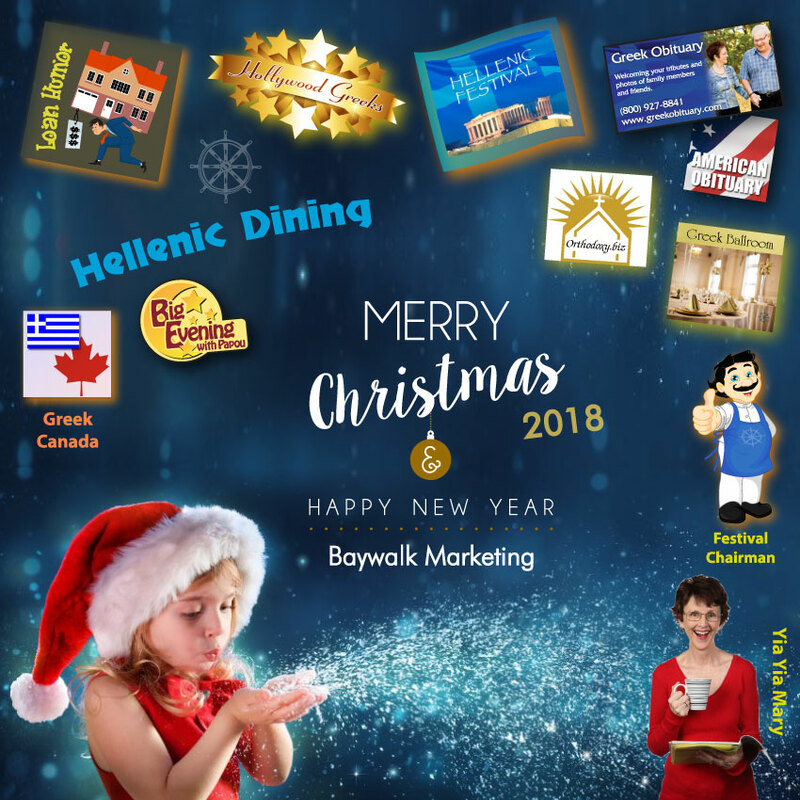 The Hellenic Festival text and the the Baywalk Marketing logo are in the bottom part of the ad, tying in Hellenic Festival to the other Baywalk Marketing brands. Theme: Hellenic Festival is your connection for Greek Festivals. 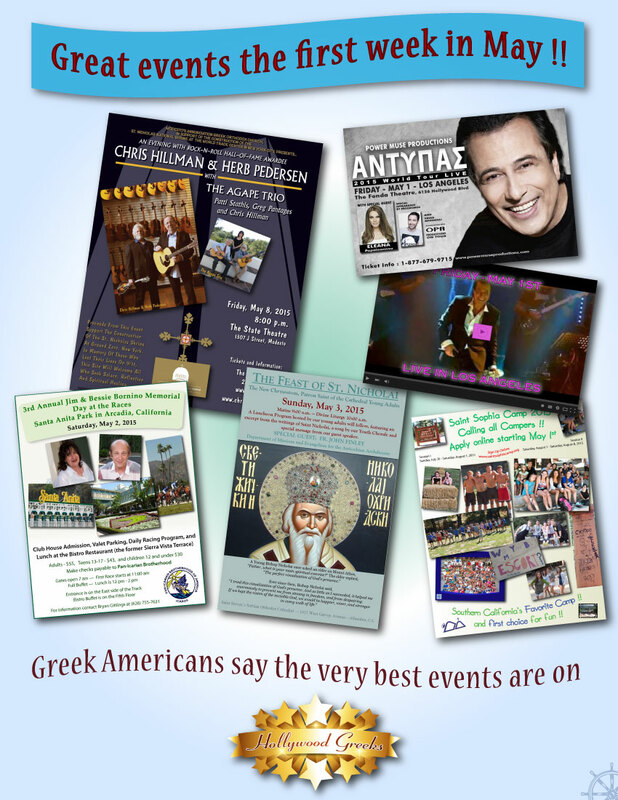 Media Mix: Hellenic Festival e-mail list, Facebook fan page, Twitter, and Hollywood Greeks Tumblr blog. Description: Amy and her smiling friend (Heather - from other ads with the same models) are in focus, with a fun summer day by the ocean in the background. The women are looking for a fun event to attend like a Greek Festival. The ad copy (text) says that the friends are not Greek and have no other way than Hellenic Festival to easily find Greek Festivals. Description: The toast of celebration drinks is in focus, meaning that fun events are emphasized. The attractive woman is out of focus in the background, indicating that it could be anyone having a great time because of attending the event, including you! Theme: If you don't have a professional directing your online marketing, you could get lost. Description: This is a top and bottom combination banner ad meant to go together on a web page or targeted e-mail message. The message here is like taking a good flight without any hassles, we want the same for our marketing communications. We don't want the equivalent of flight delays, detours, or having inexperienced people in charge of our online marketing. Baywalk makes it easy. Baywalk makes your online marketing work. Theme: If you cannot go to the beautiful beaches in Greece, enjoying a Greek Festival is the next best thing! Description: This is a top and bottom combination banner ad meant to go together on a web page or targeted e-mail message. Theme: Remembering our veterans for our freedom. Theme: A broken website can be like car trouble on the freeway. You don't want your car or your website not working. Description: The message here is like our cars, we just want our website to work. We don't want the equivalent of detours, accidents, or tow trucks in the Internet world — tech support visits, tracking down different people to fix problems, and worse yet — problems that you just cannot fix. Baywalk makes it easy. Baywalk makes your Internet promotions and your website work. Theme: The Internet can be confusing. Baywalk makes it easy. 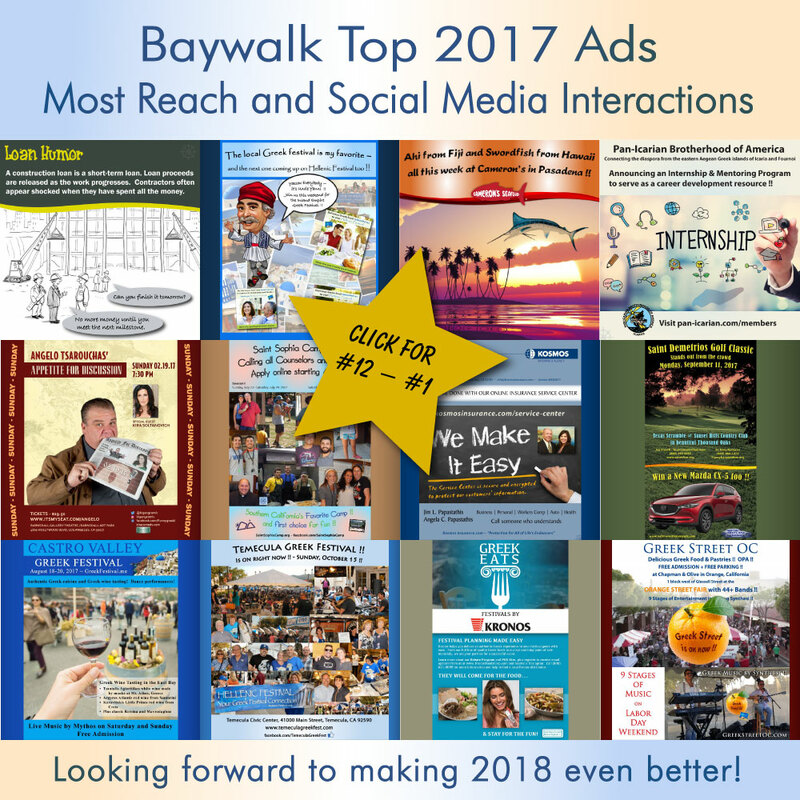 Description: The primary message here is that there are so many different parts of an Internet marketing promotion and Baywalk makes it easy to get through. From websites, to targeted email lists, Facebook fan pages, Twitter feeds, Tumblr blogs, Search Engine Optimization and more, we tie it all together and make it work. Secondary message: Website errors, non-functioning registration forms, missing pages, and lost content are just some of the Internet storms that can seem foreboding and difficult to overcome. How will you fix them? Baywalk gets you through all that. Everything just works. 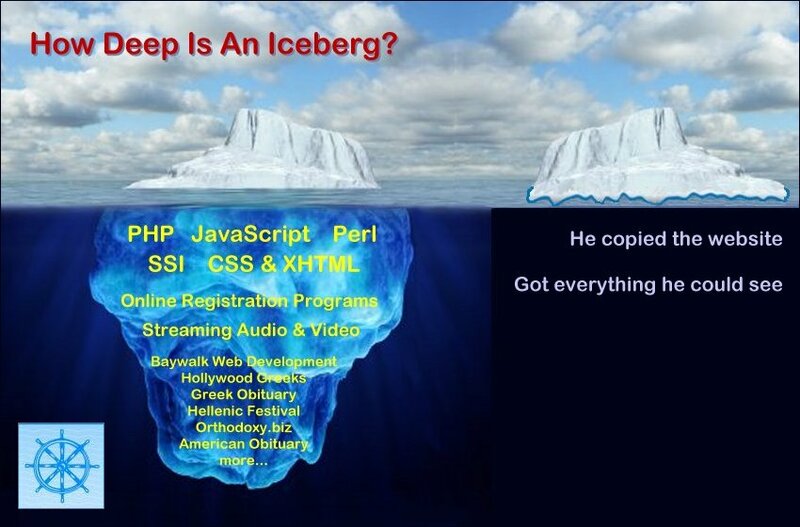 Theme: Websites that work are many layers deep like an iceberg. Description: The message here is that a website is more than it seems. Most of what makes it work you will never see - it is beneath the surface! Theme: Don't break what works. Description: The primary message here is that if everything is working, it's easy to think that operations are simple. 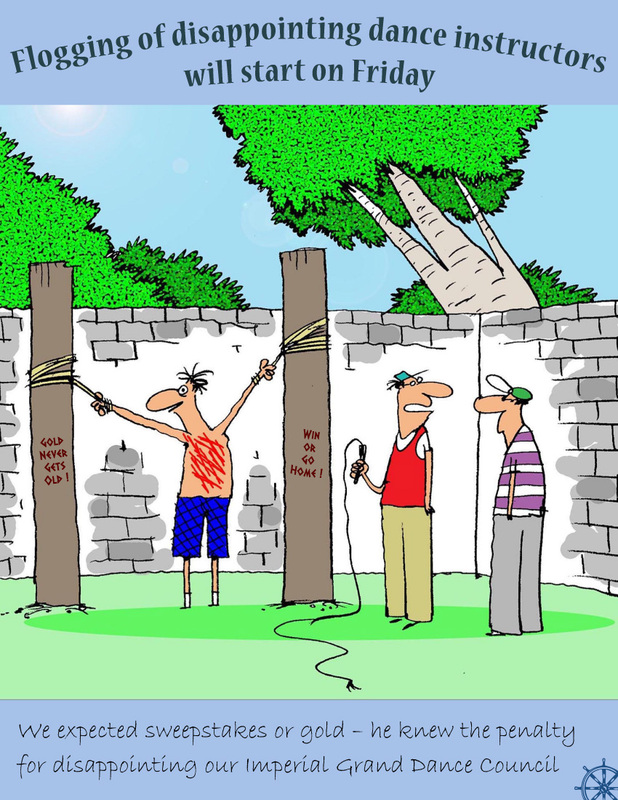 If you change vendors, what will you do when things don't work? Secondary message: We are stable and have been around since 1998. We can help you be part of the solution, and not part of the problem. Theme: Women help bring strength (and communications) to their organizations. 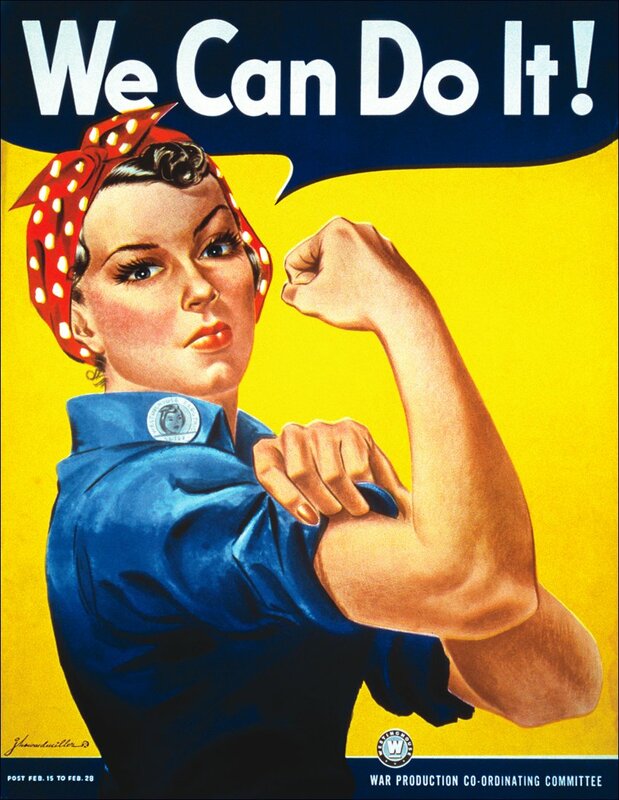 Description: Using the classic 1942 World War II poster of Rosie the Riveter (see Wikipedia), the primary visual reference targets women who have helped sustain organizations. Ladies, you can do it! 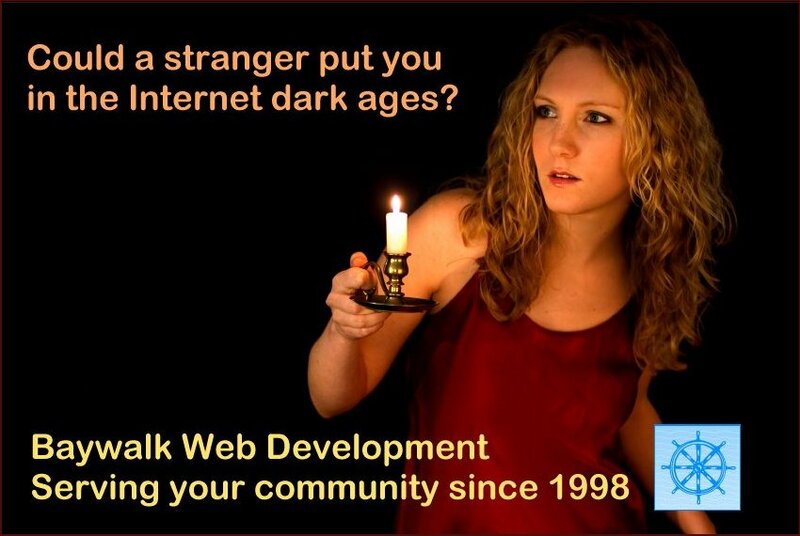 If your community has never been plugged in, it's never been simpler! Just 50 women from the ladies auxiliary donating $2 per month gets your COMMUNITY CONNECTED!! No website to buy. NEW CUSTOMERS!! Don't be left out. 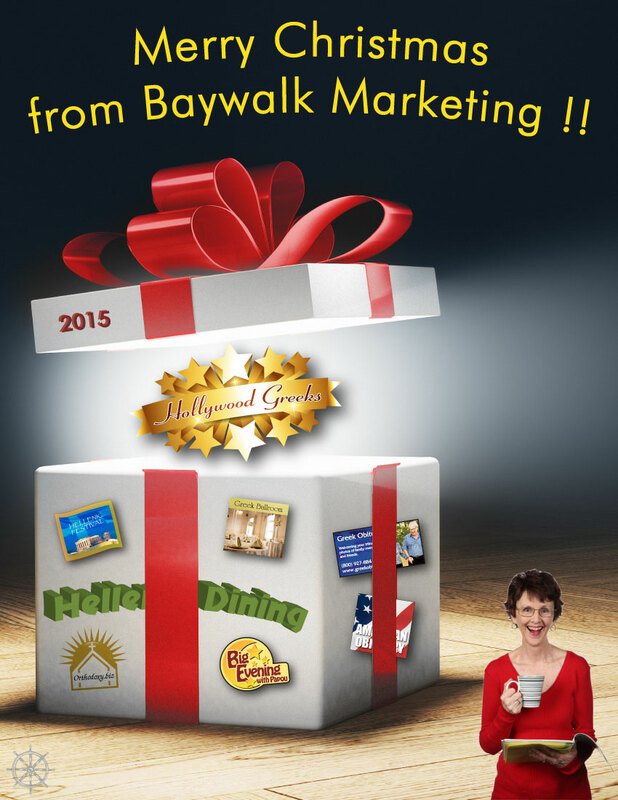 PLEASE STAY CONNECTED with Baywalk Marketing for $99 per month! Theme: You need technical skills to do what we do. Description: The primary message here is that many artists, students, and interns are using blog template sites to build a basic website without functionality. It looks cheap, and copy & paste cheesy — like a cartoon of a website. Secondary message: Targeting church clients, the message here is that you need your website to function with online forms, interactivity that comes from programming, and more. 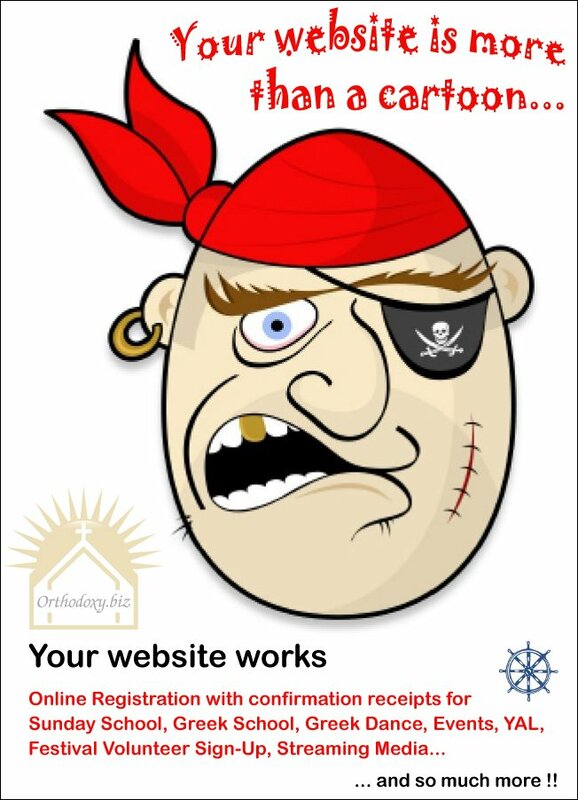 Your website works for you. Theme: Mother's Day holiday ad. Description: Targeting non-profit clients, the message here is that part of a website's function is to save your organization's internal staff the time and hassle of paper forms. Perhaps more importantly, a good site will help save your customers' time when they need to communicate with you. 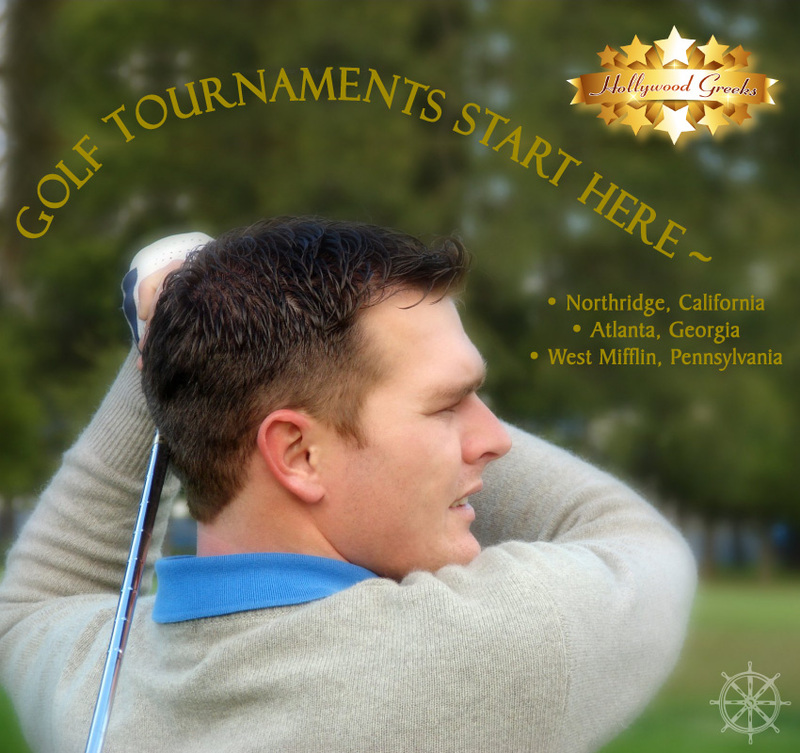 Theme: Golf tournament springtime ad. Description: Targeting church clients, the message here is that many non-profit organizations focus on large events, but not the behind the scenes systems (like a good website) that make things work smoothly.